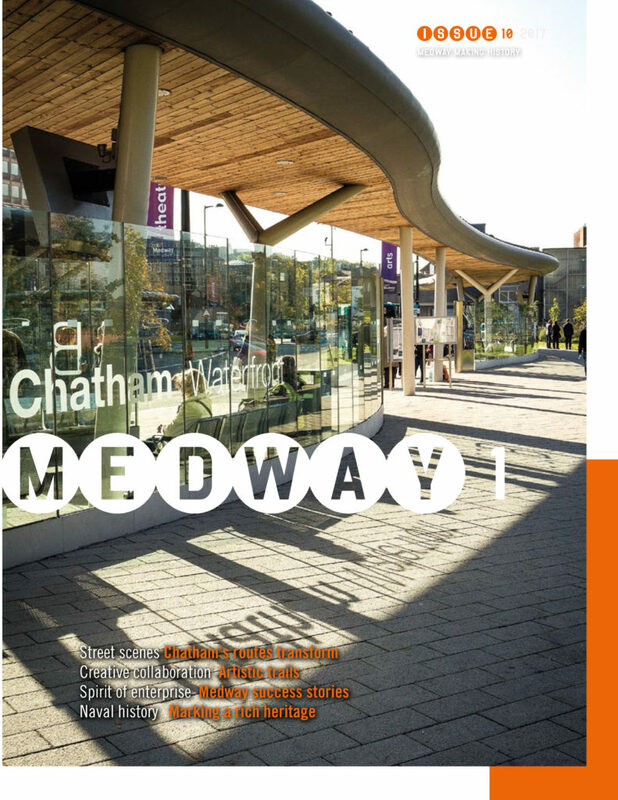 This week saw the publication of Issue 10 of Medway 1 Magazine, which is published by 3Fox International Ltd . 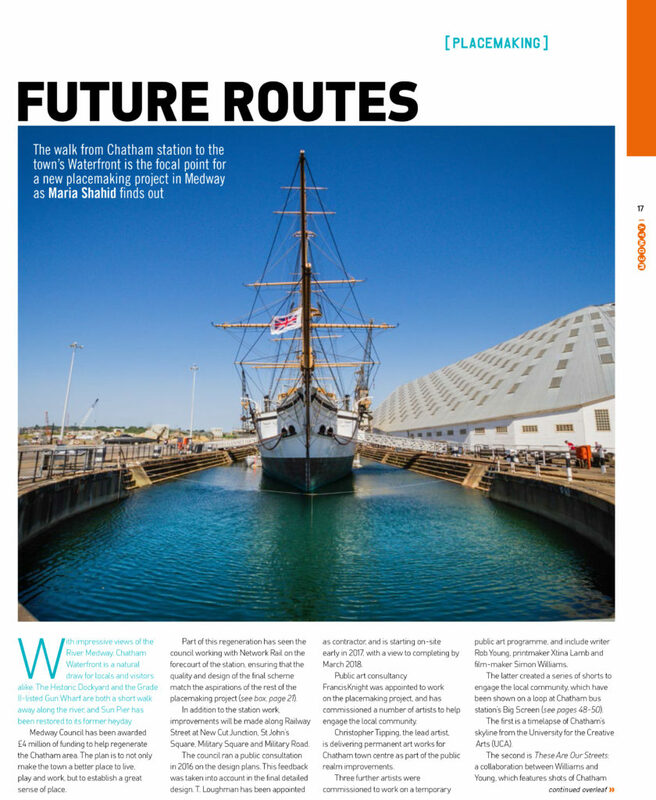 This issue covers Regeneration Projects being delivered in Medway and Chatham in particular. 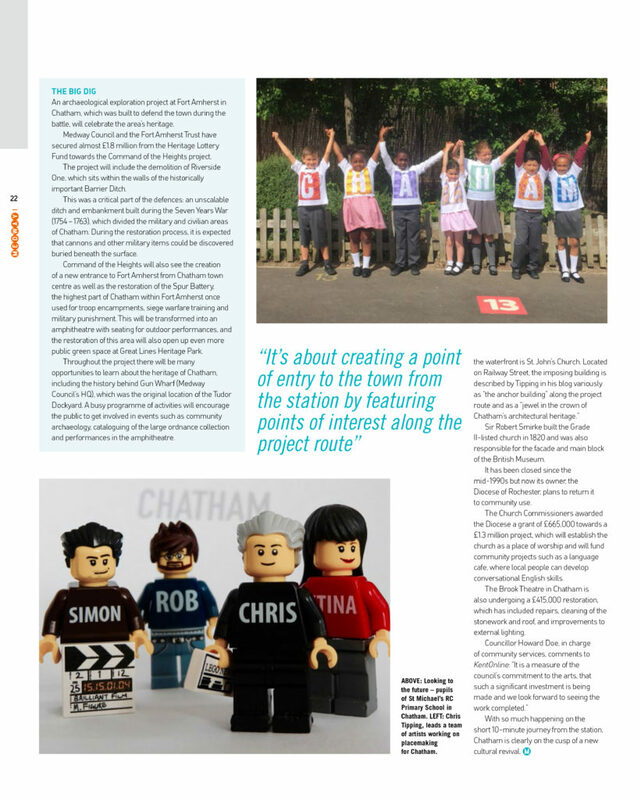 The Chatham Placemaking Project is featured on Pages 17 – 22. ‘Phillips Chatham Invicta Mineral Waterworks Unrivaled Brewed Ginger Beer’. ! Railway Street from New Cut Viaduct date unknown. Collection of Rex Cadman. by Permission of Rex Cadman and Kent Photo Archive. In 1912 – No 26 was the home of the Invicta Furniture and Baggage Depository. 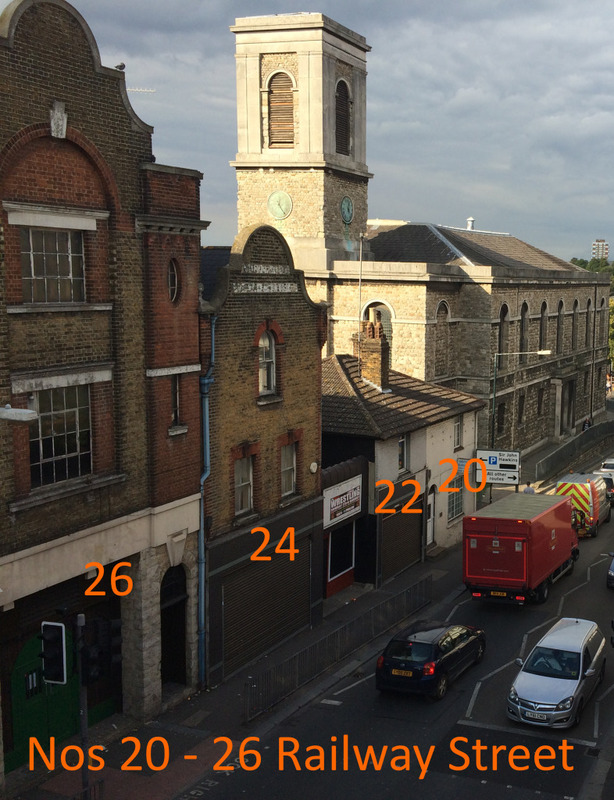 No 28 was a Garage and Cycle Works. The 1848 Ordnance Survey Public Health Map of Chatham shows Rome House – a large detached mansion set in landscaped gardens – opposite St John’s Church on Rome Lane. 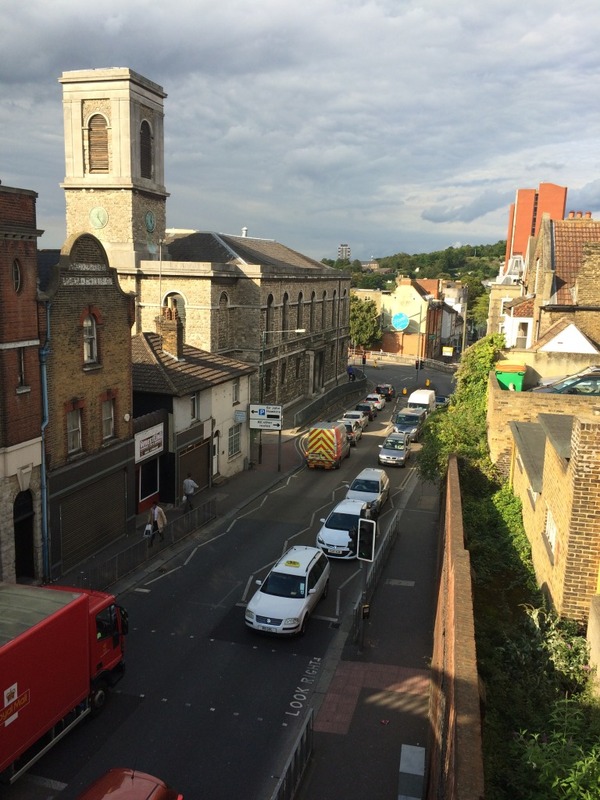 Following the building of Chatham Railway Station, Rome Lane became Railway Street sometime after 1871. 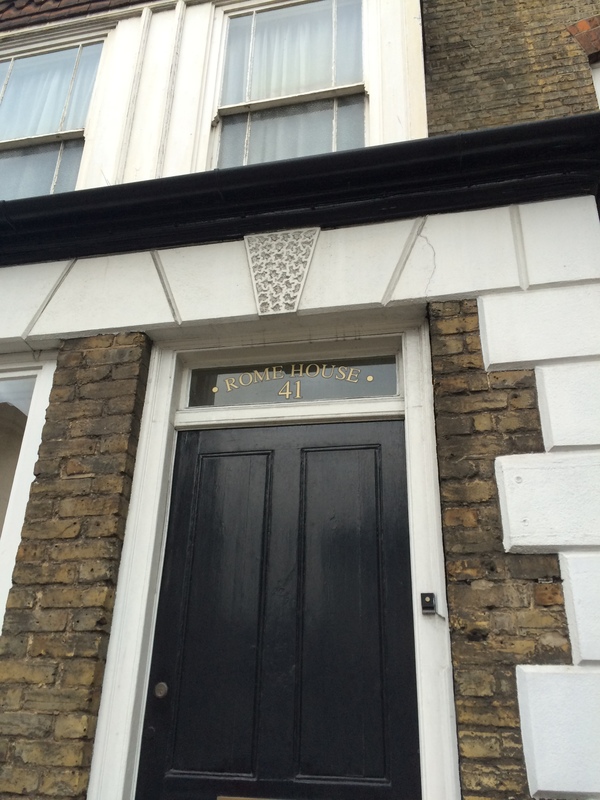 No 41 would have been a new property named after the original house. A detail from the 1848 OS Public Health Map of Chatham, with St John’s Church and Rome House on Rome Lane at top right. 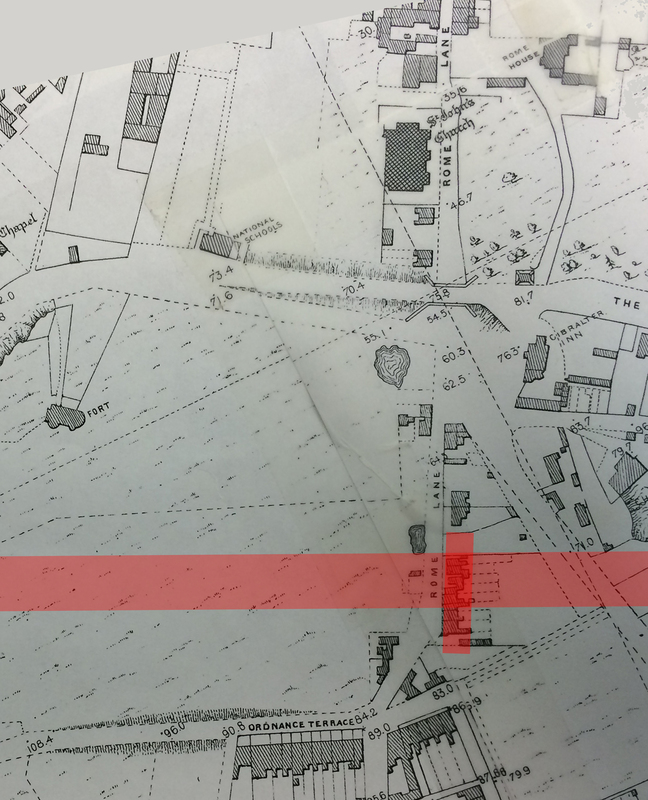 The pink line shows the eventual route of the railway and Chatham Railway Station, which opened in January 1858. 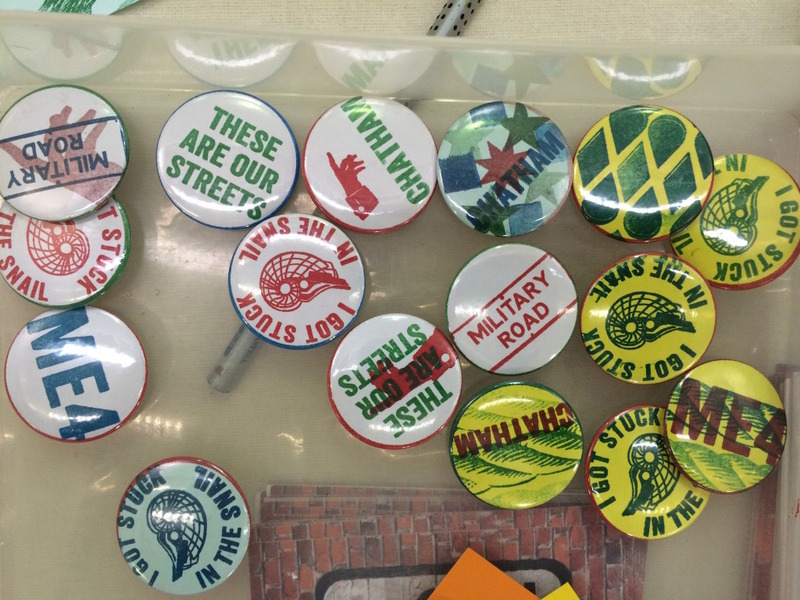 By permission of Medway Archives and Local Studies Centre. Chatham Placemaking Project. This detail of the OS 1864 Map of Chatham shows Chatham Station at the bottom of this image. 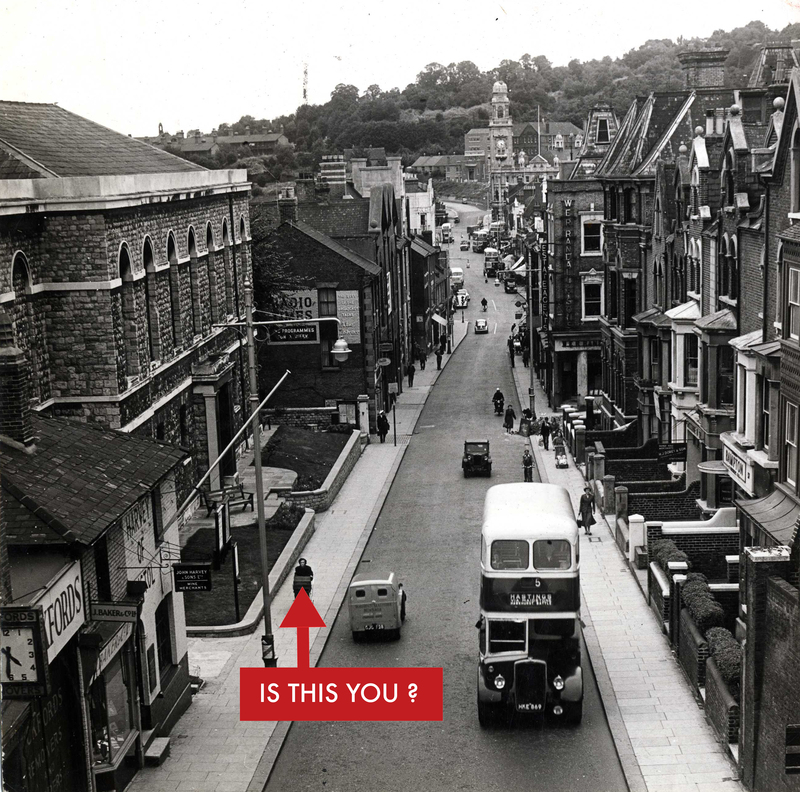 Railway Street to Military Road runs from the middle of the image to the top of the image. St John’s Church and Rome House can clearly be seen. 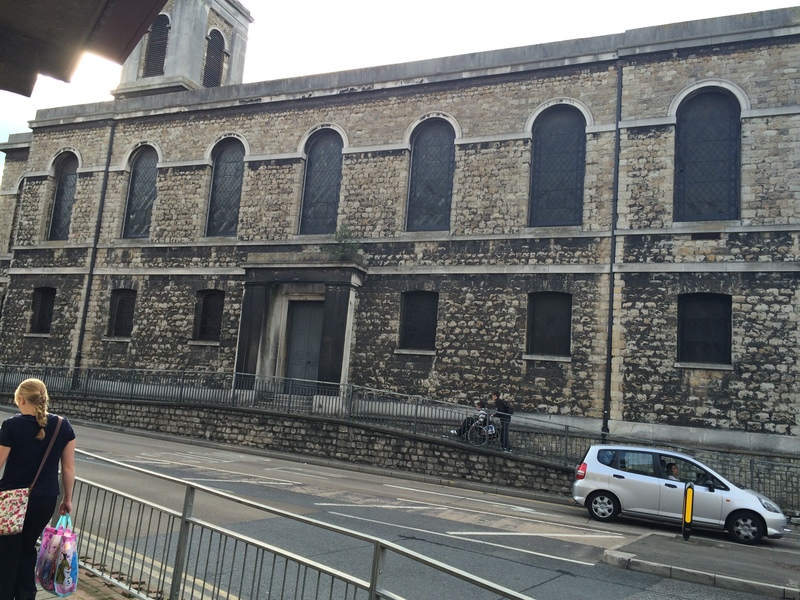 St John’s Church on Railway Street Chatham, is a jewel in the crown of Chatham’s Architectural Heritage. 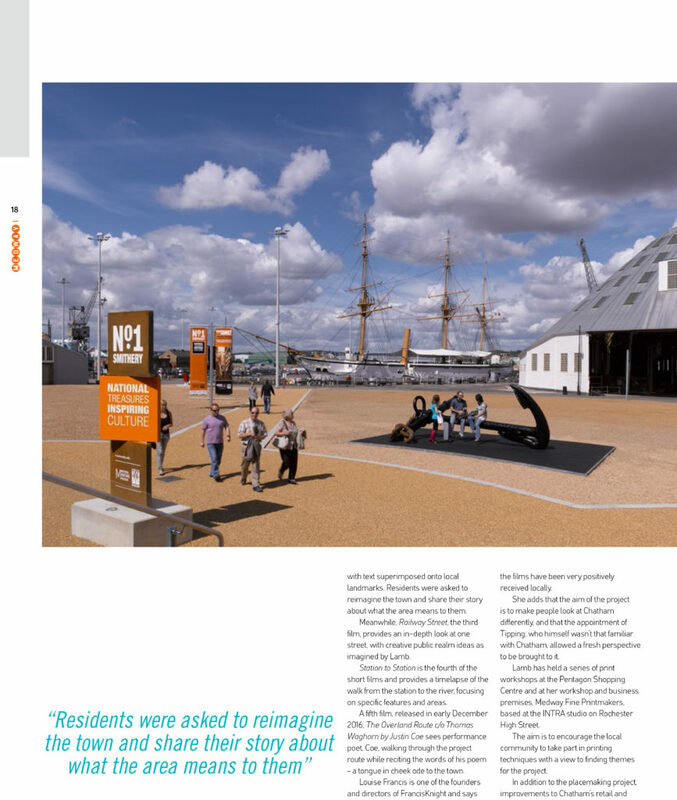 It is certainly an important anchor site for us working on the Chatham Placemaking Project. Maybe you don’t agree ! 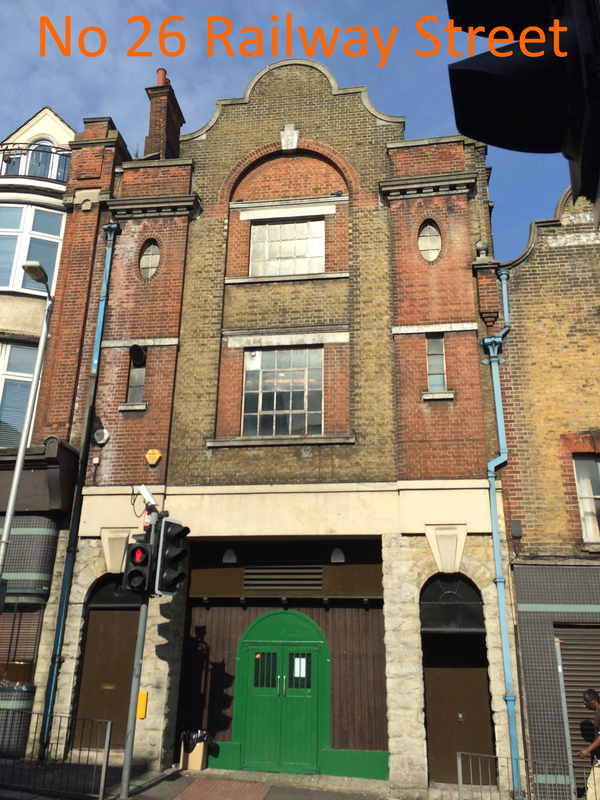 A much better image in great light – showing off it’s tower and Italianate form. Built in 1820/21 by the Architect Sir Robert Smirke – who by the way also built the Facade and main block of the British Museum – the Grade II Listed Italianate Style Anglican Church is one of the few Waterloo Churches left intact. 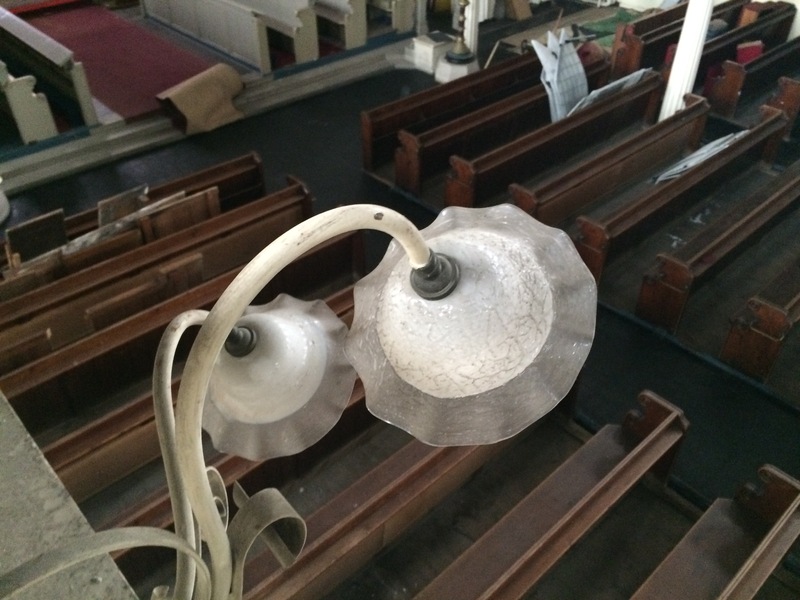 The Church has been closed since the early 1990’s – but has in the interim been used for an arts installation – Chatham Vines in 2006. 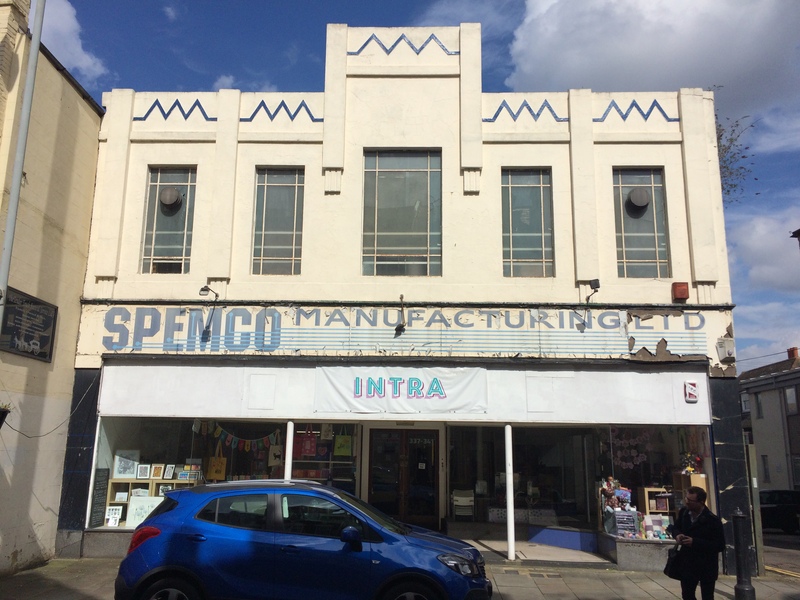 I only came to Chatham for the first time in 2015 to start work on the Chatham Placemaking Project – I loved the building from the start – with its robust symetric form and landmark tower. It is the anchor building along our route. 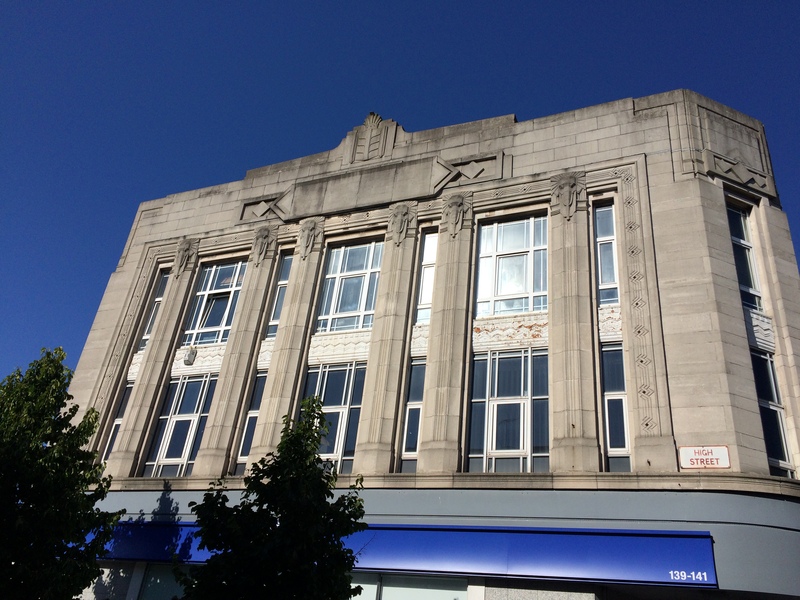 However – those familiar with Chatham will know all too well the condition of the building today. 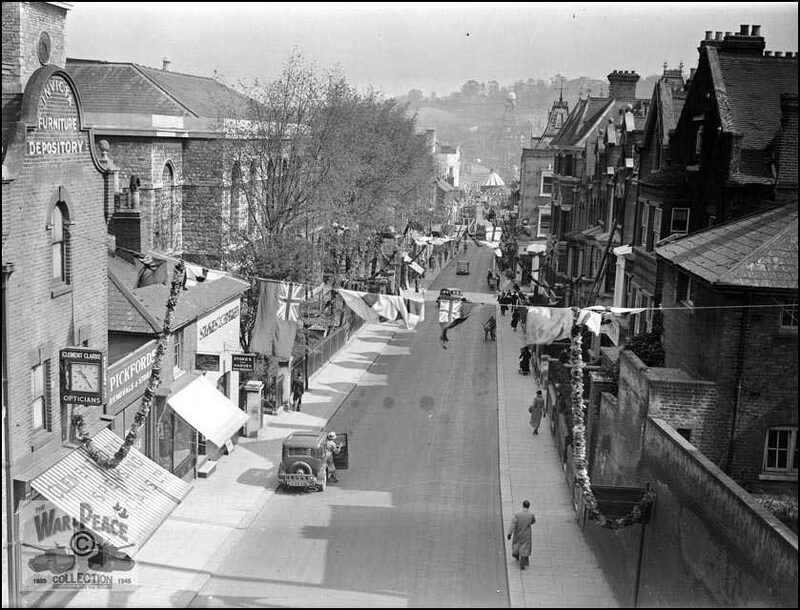 It has been bypassed by most and is diminished by the constant flow of traffic and cut off from lower Railway Street and the town centre by the busy road. 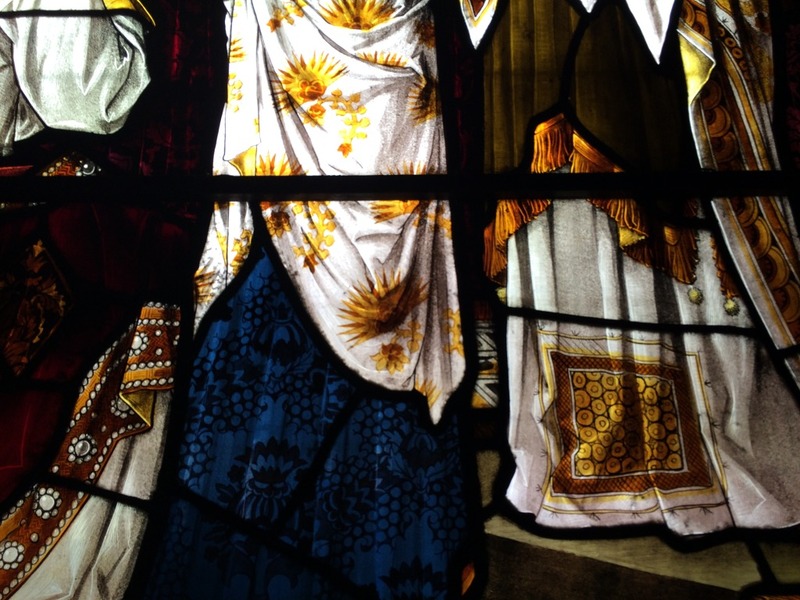 Stained glass windows are dark. 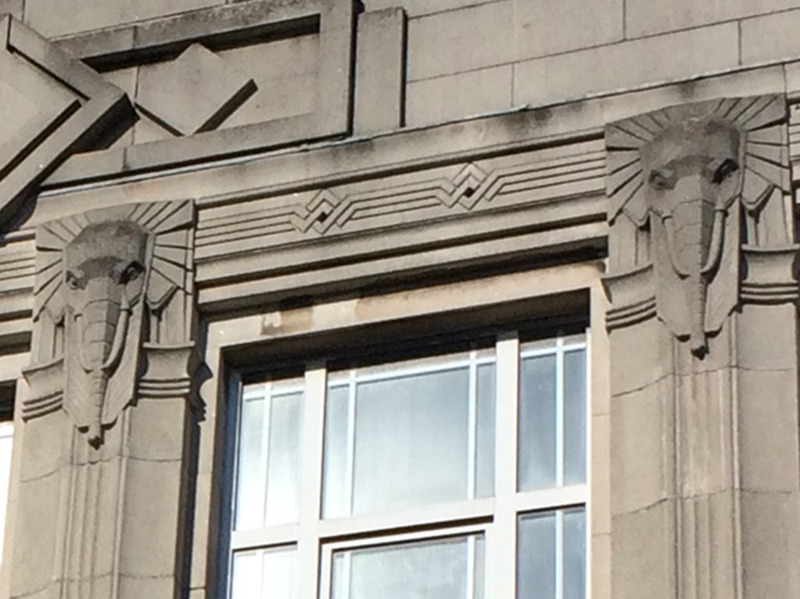 The stone elevations are dirty. The paintwork on the doors is peeling. 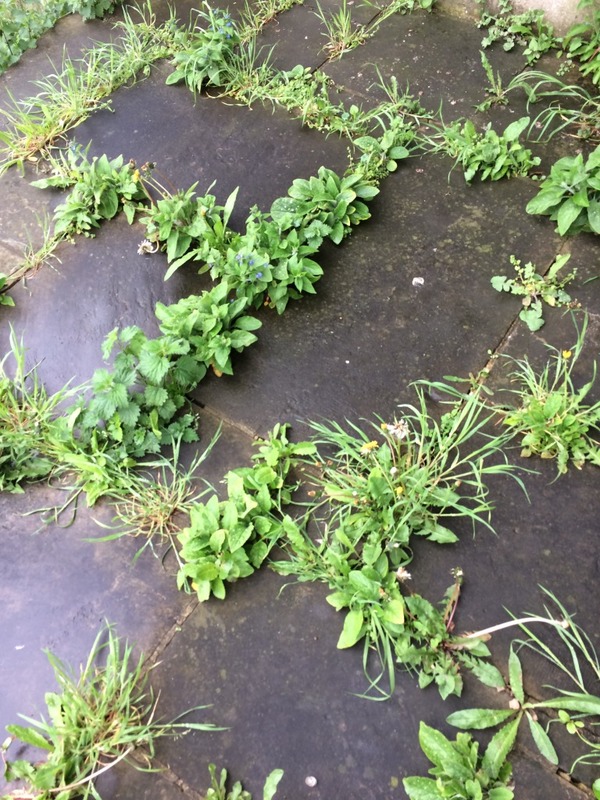 It is forlorn – but actually it has not been forgotten ! 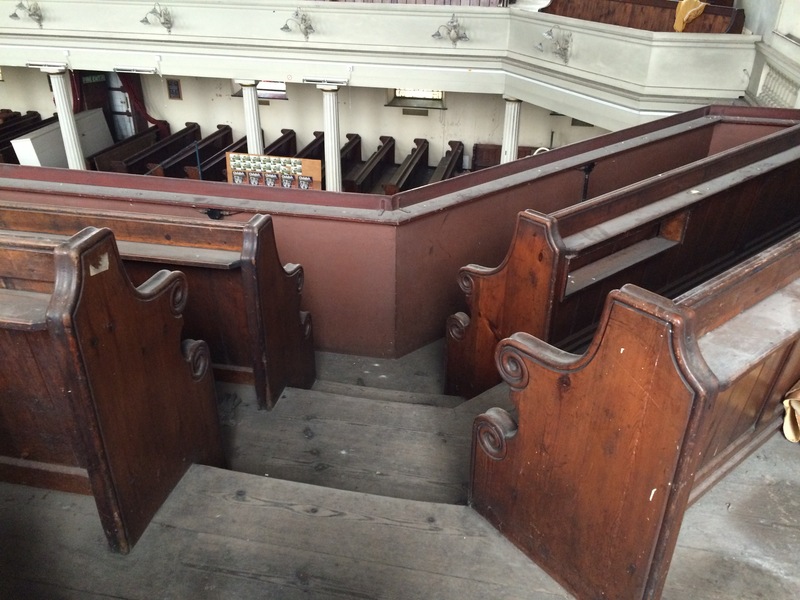 Interior of St John’s Church, Railway Street, Chatham. Image: Christopher Tipping by permission Diocese of Rochester. Laura Knight of Francis Knight and I were accompanied by Project Manager Peter Welsh of the Diocese of Rochester. 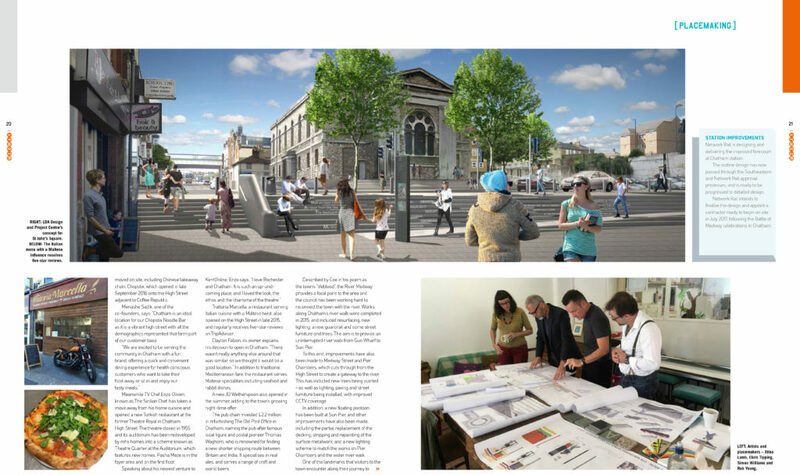 He had agreed to show us around & allowed us to take pictures whilst discussing the Chatham Placemaking Project and the importance of this building to our project. 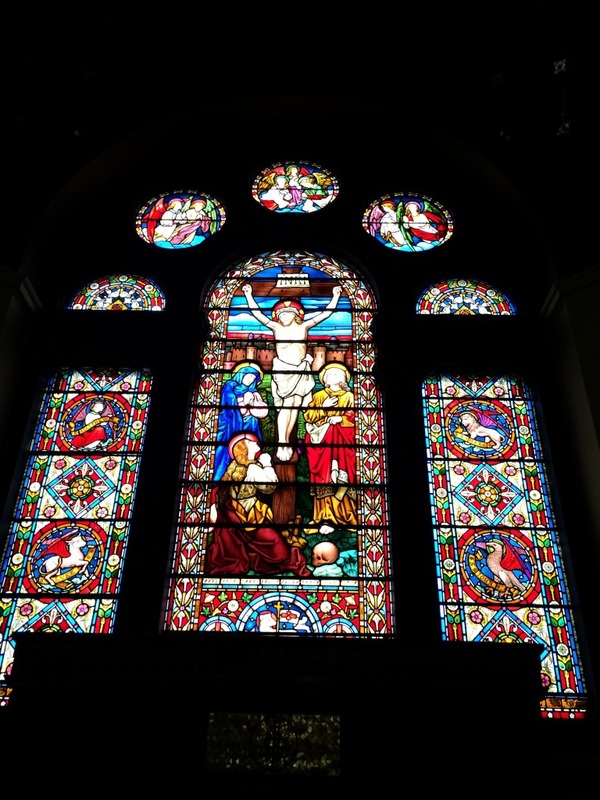 The building is still of importance to the Diocese too. 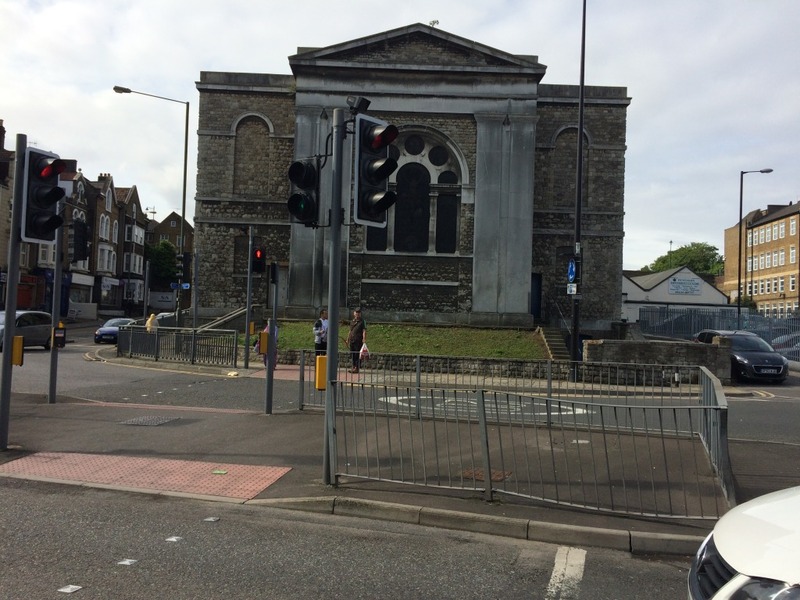 ‘The strategic project at Chatham includes re-establishing a worshipping community for St John’s Church, bringing the building back into use (potentially with an interim solution) and establishing mission activities in the local community. The area around St John’s is one of the most deprived in the Diocese in terms of employment rates, income, education and quality of life’. 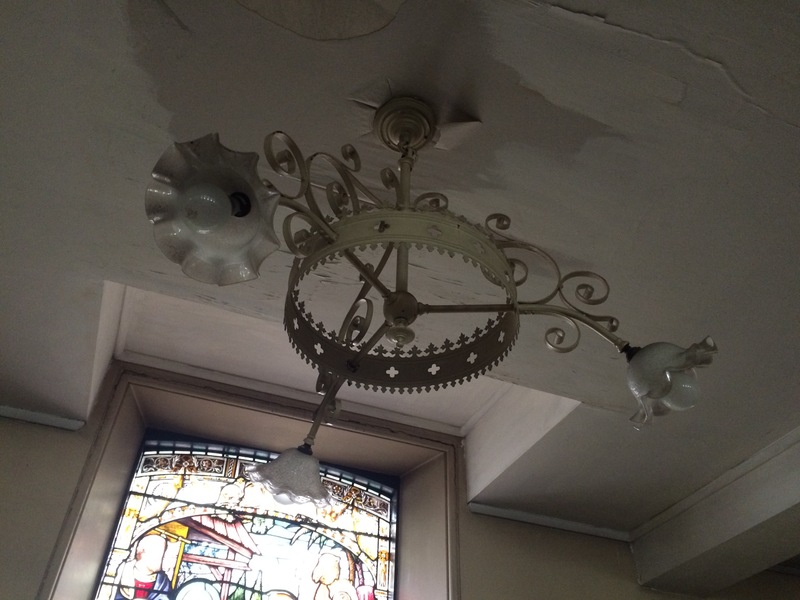 The interior is quite stunningly beautiful with interior furniture and finishes – albeit dirty and in need of repair & a little tlc – hardly touched since the day the doors were closed and locked. 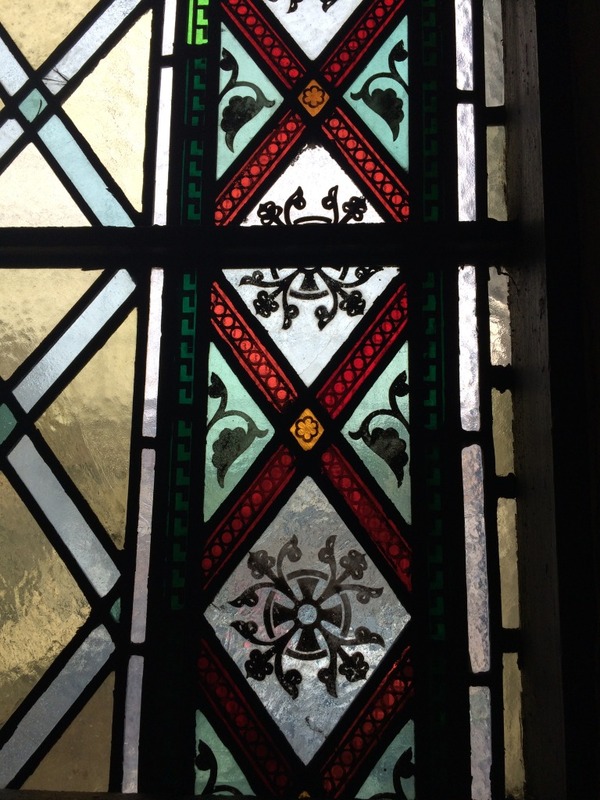 So much original detail and wonderful features remain, including bespoke benches and seating, lighting, plasterwork, ironwork and of course brilliantly coloured stained glass. Could you have guessed that from the outside? 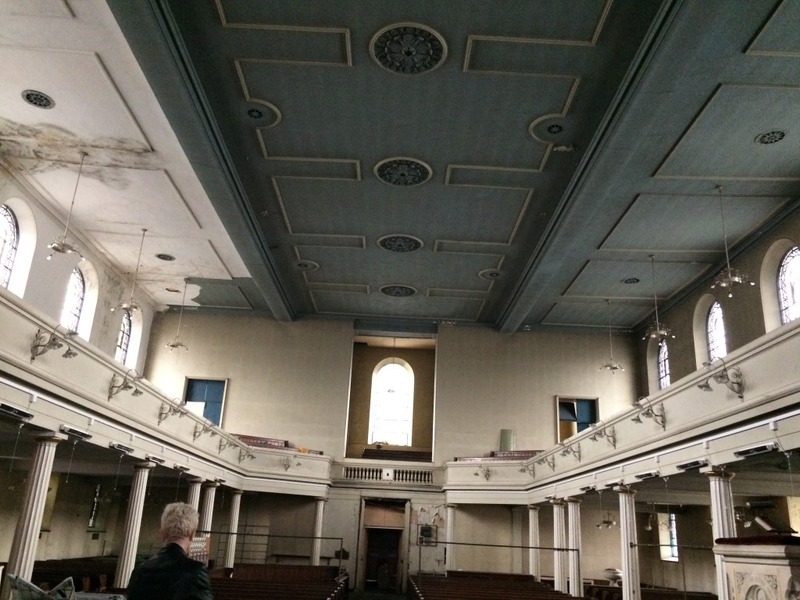 Interior of St John’s Church, Railway Street, Chatham. Stained Glass window above the alter. Image: Christopher Tipping by permission Diocese of Rochester. 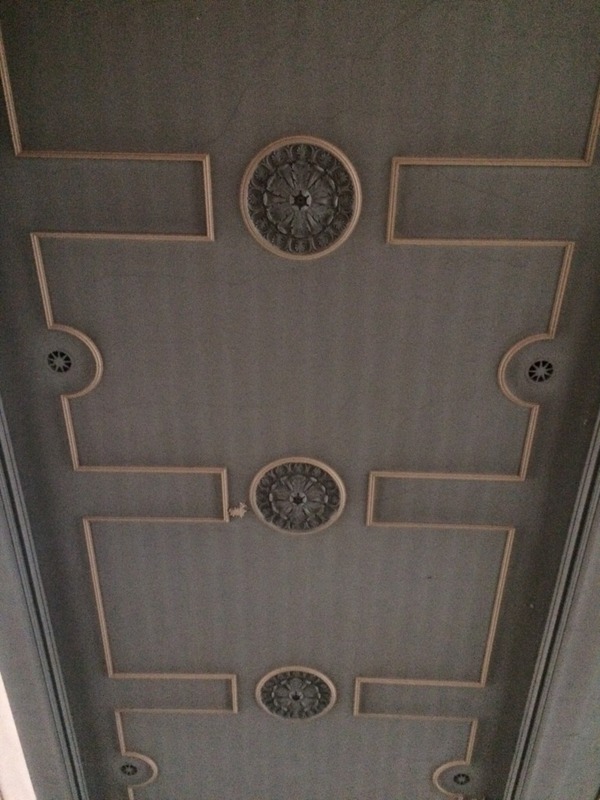 Interior – Ceiling detail of St John’s Church, Railway Street, Chatham. Image: Christopher Tipping by permission Diocese of Rochester. Interior of St John’s Church, Railway Street, Chatham. 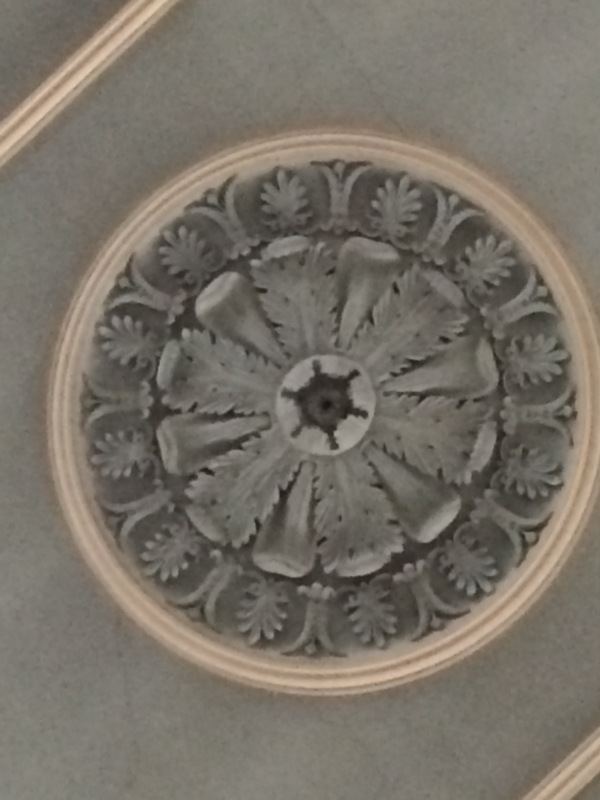 Ceiling rose detail. Image: Christopher Tipping by permission Diocese of Rochester. 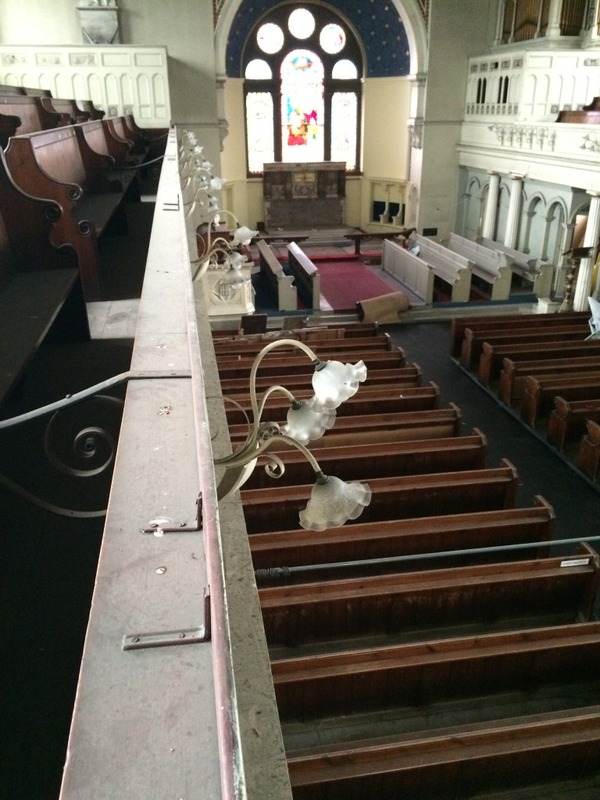 Interior of St John’s Church, Railway Street, Chatham. 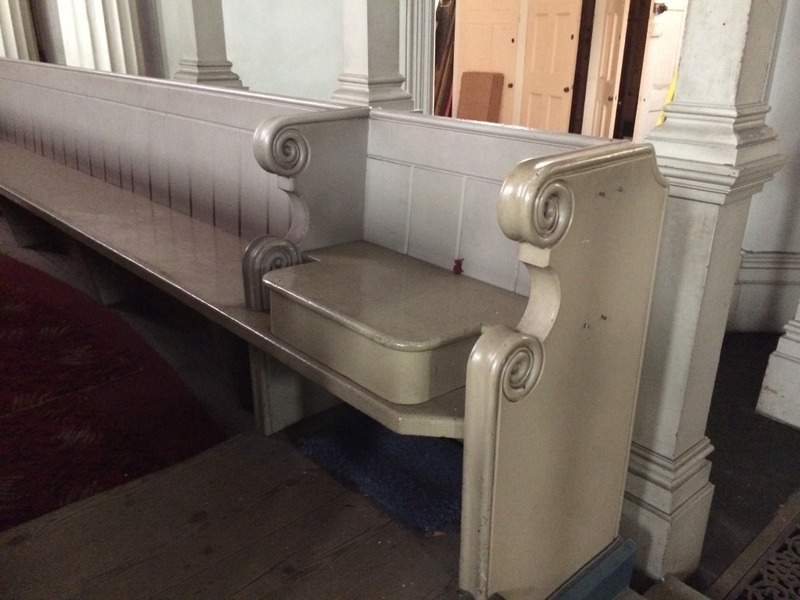 Detail of Benches – Image: Christopher Tipping by permission Diocese of Rochester. 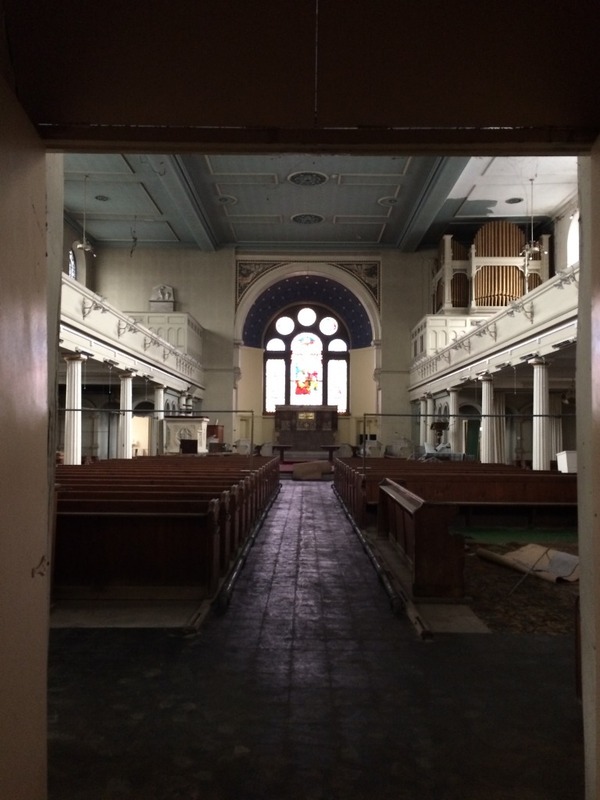 Interior of St John’s Church, Railway Street, Chatham. 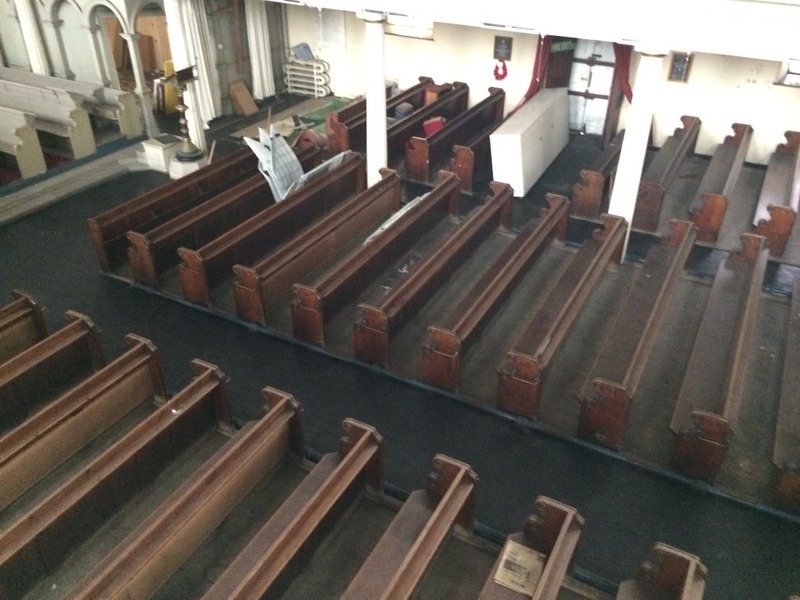 A view from the upper balcony. 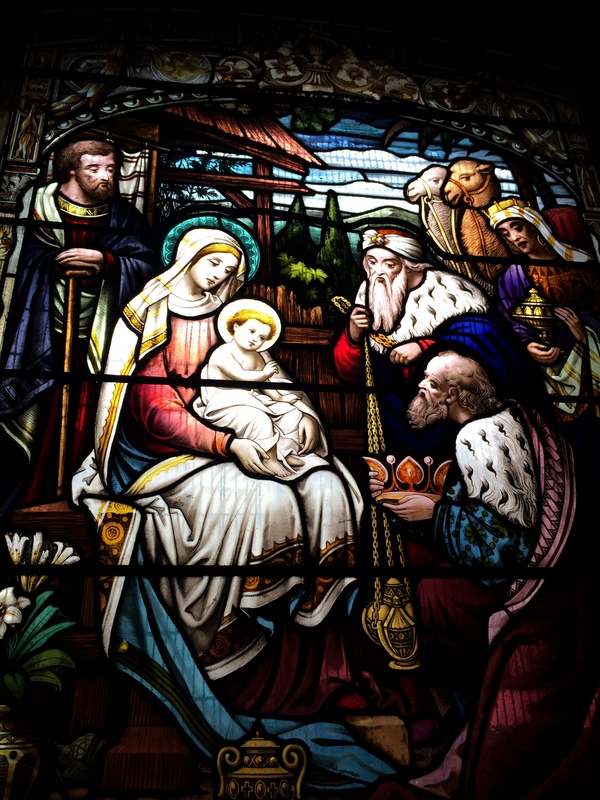 Image: Christopher Tipping by permission Diocese of Rochester. 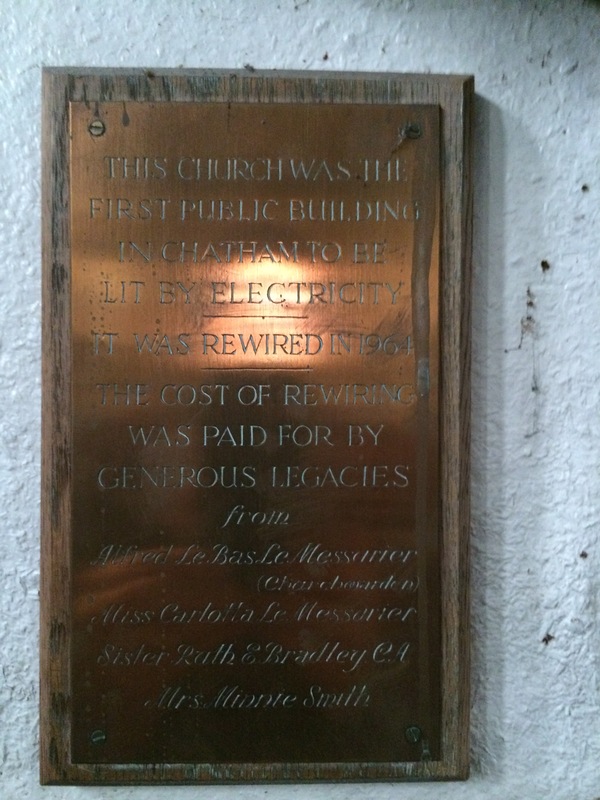 The first public building in Chatham to be lit by electricity ! Interior of St John’s Church, Railway Street, Chatham. 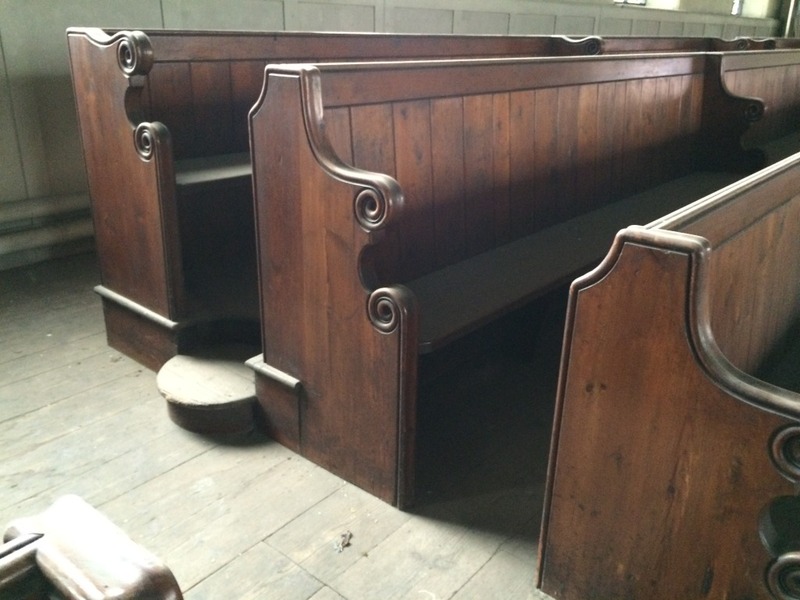 A view of benches on the upper balcony. Image: Christopher Tipping by permission Diocese of Rochester. Interior of St John’s Church, Railway Street, Chatham. 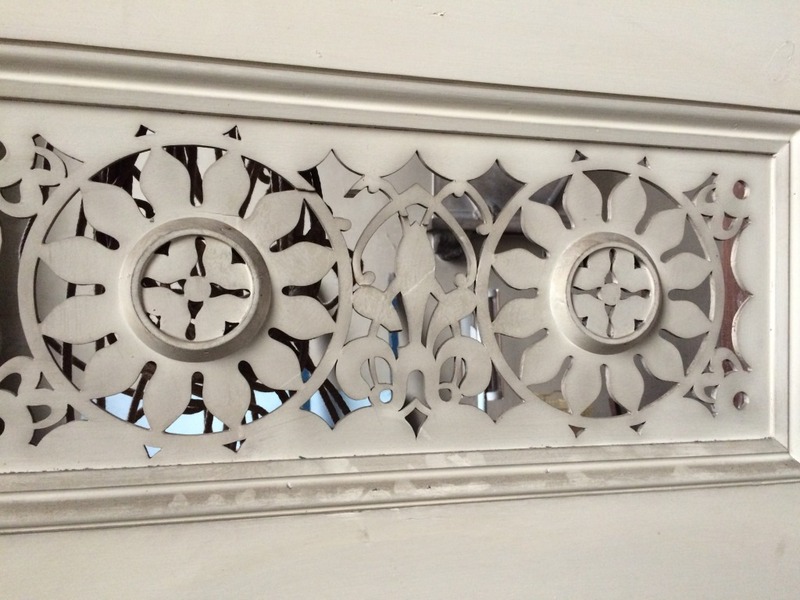 Timber screen fretwork. Image: Christopher Tipping by permission Diocese of Rochester. 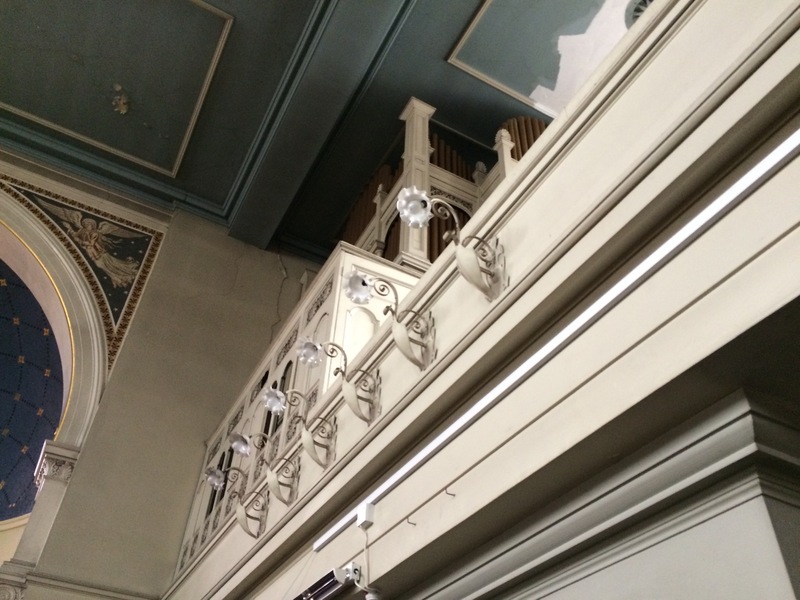 Interior of St John’s Church, Railway Street, Chatham. 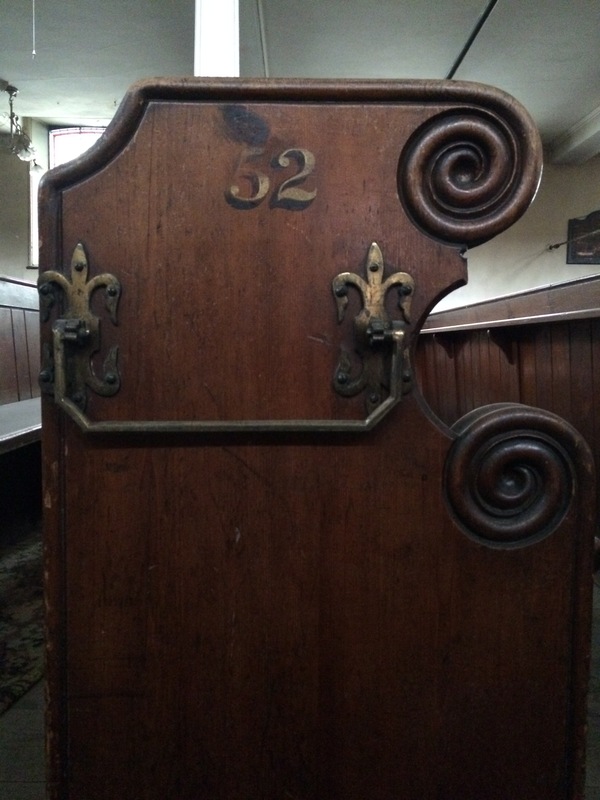 A seat in the choir . Image: Christopher Tipping by permission Diocese of Rochester. 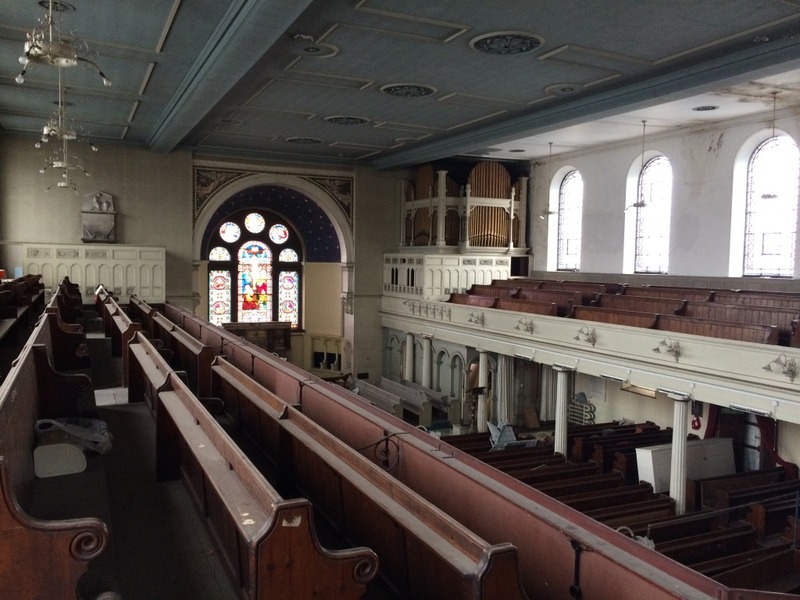 Interior of St John’s Church, Railway Street, Chatham. 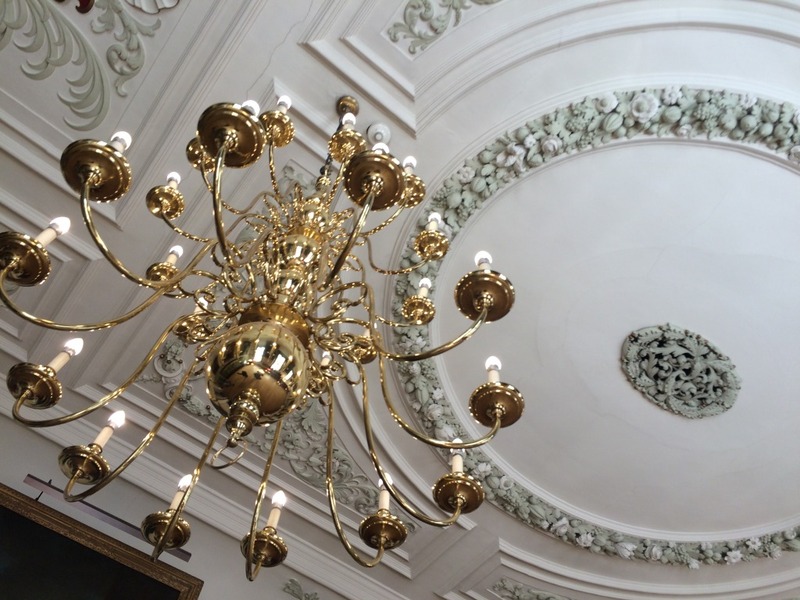 Wonderful delicate lighting. Image: Christopher Tipping by permission Diocese of Rochester. 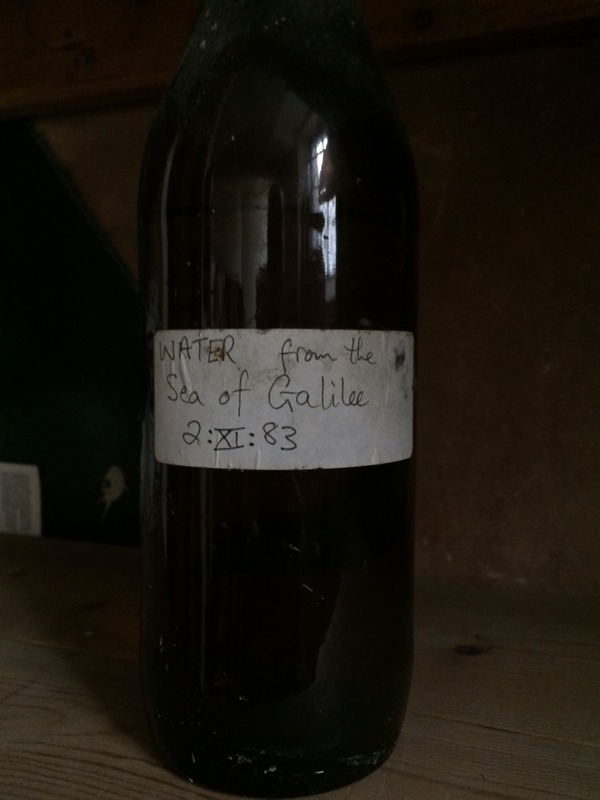 ‘Water from the Sea of Galilee’ – Interior of St John’s Church, Railway Street, Chatham. Image: Christopher Tipping by permission Diocese of Rochester. Exterior pathway of St John’s Church, Railway Street, Chatham. Image: Christopher Tipping by permission Diocese of Rochester. 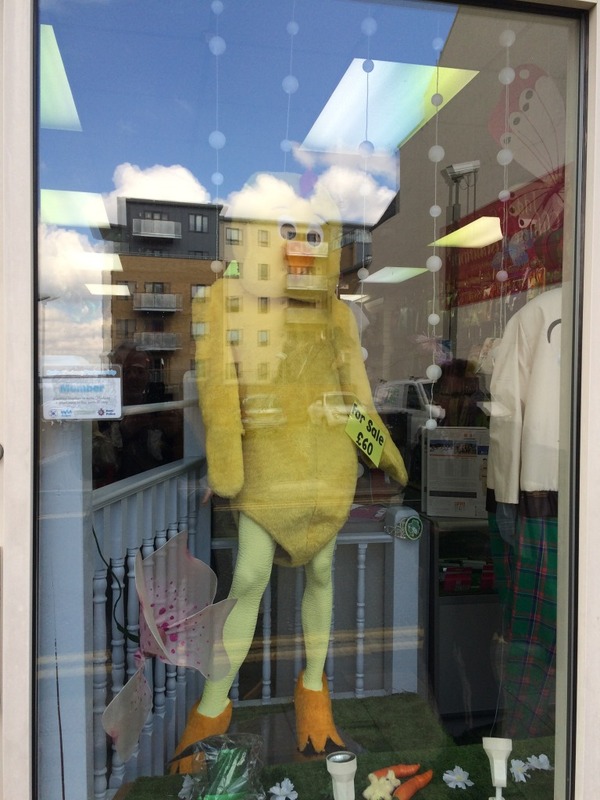 On Tuesday 10th May I visited Penguins, 87-89 High Street Chatham. 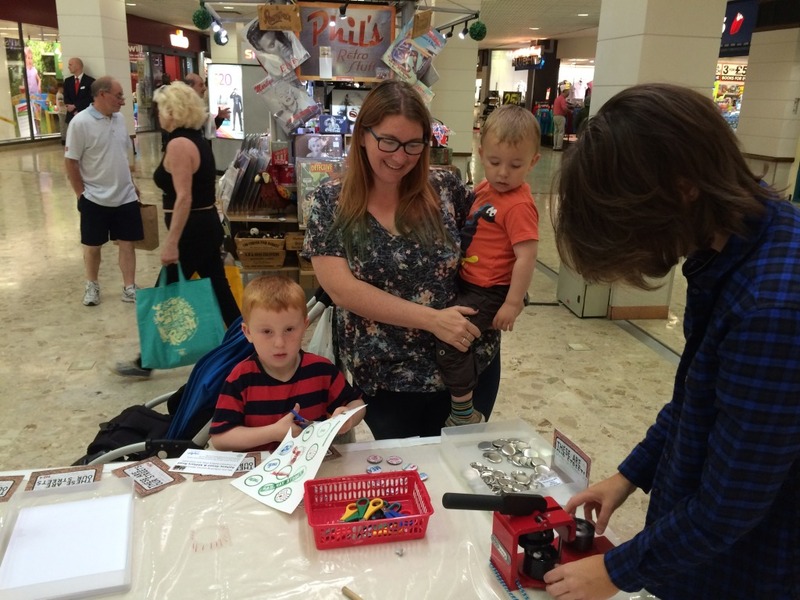 Penguins happens to be the Newcomb family business specialising in formal wear and wedding suits for men. I met Gerald Newcomb – a 7th generation Newcomb, running a business stretching back over 180 years in Chatham. 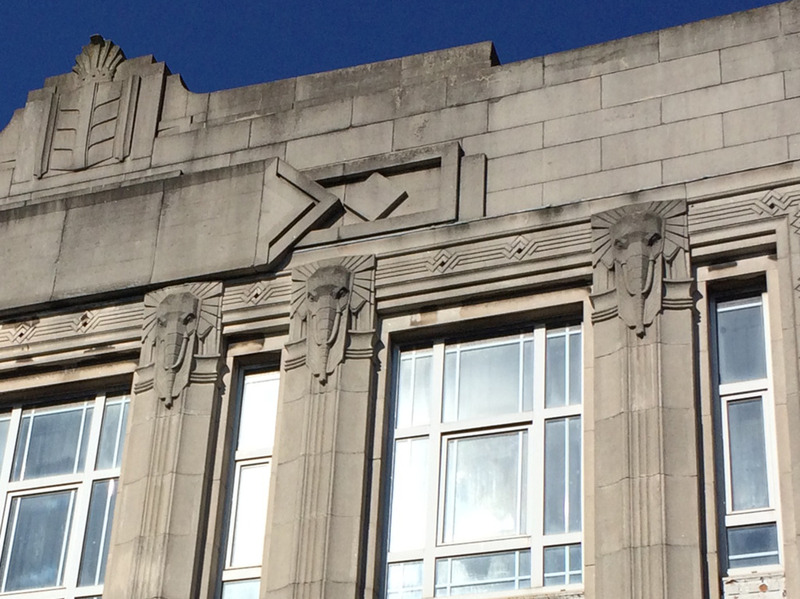 Gerald Newcomb, Penguins, 87 – 89 High Street, Chatham standing with the Newcomb War Diary. 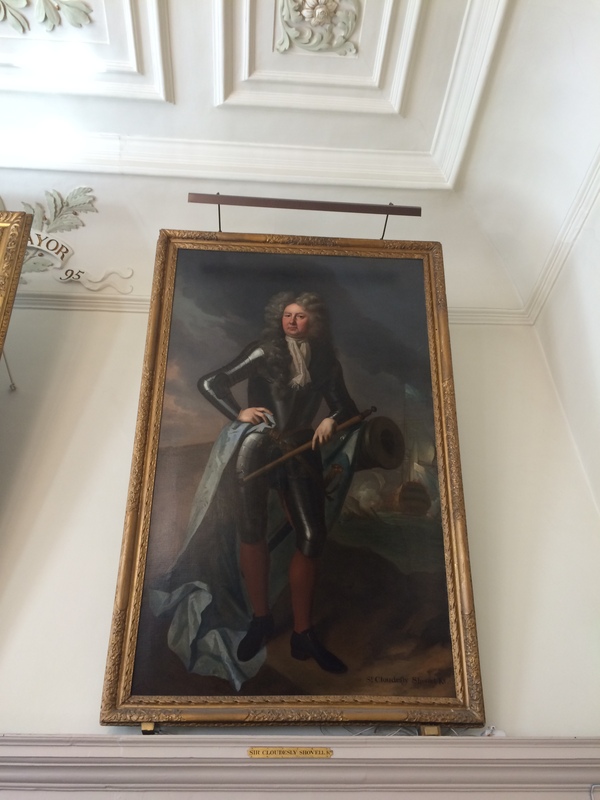 Image: Christopher Tipping by permission of Gerald Newcomb. 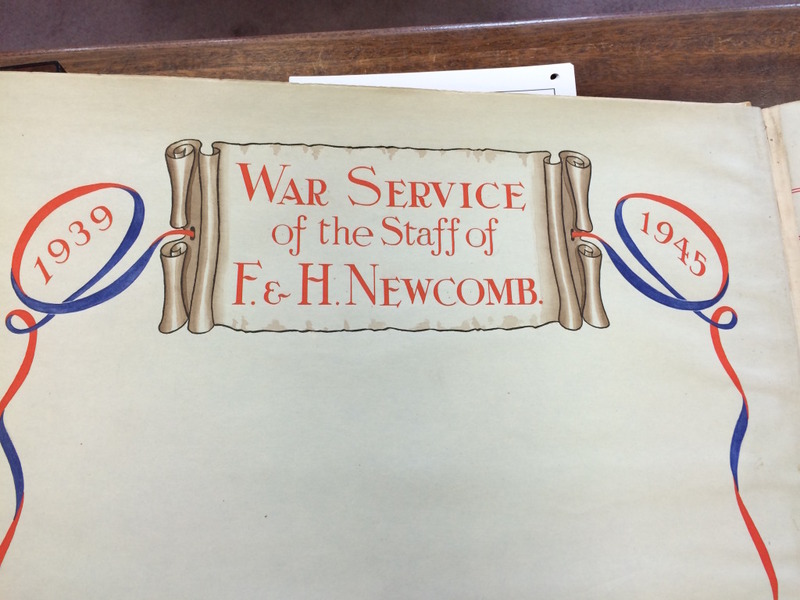 This business fits into our Chatham Placemaking Project primarily because of its association with our route – Newcomb’s also had a Ladies Clothes Shop on Railway Street – but the big surprise is the Newcomb War Diary. 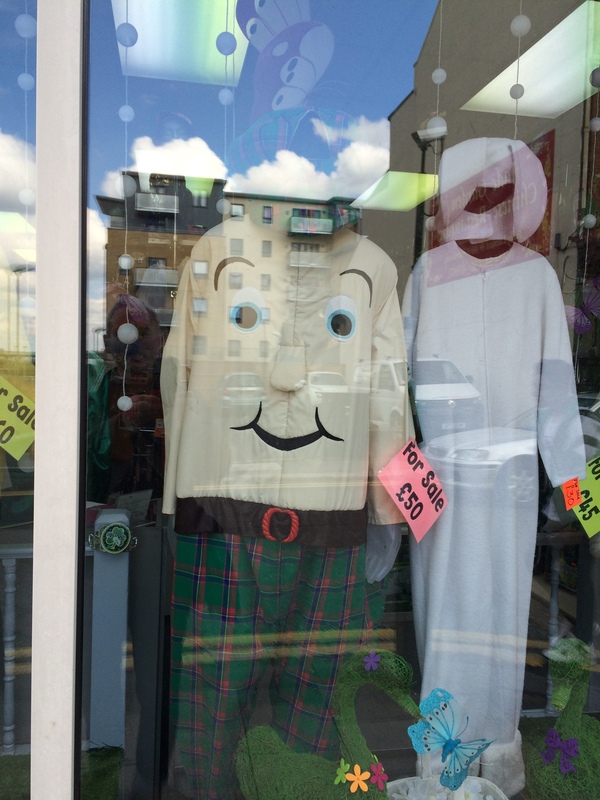 Surely this has to be on our list of ‘10 things which made Chatham’. The following statement comes from the Chatham Historical Society Website. 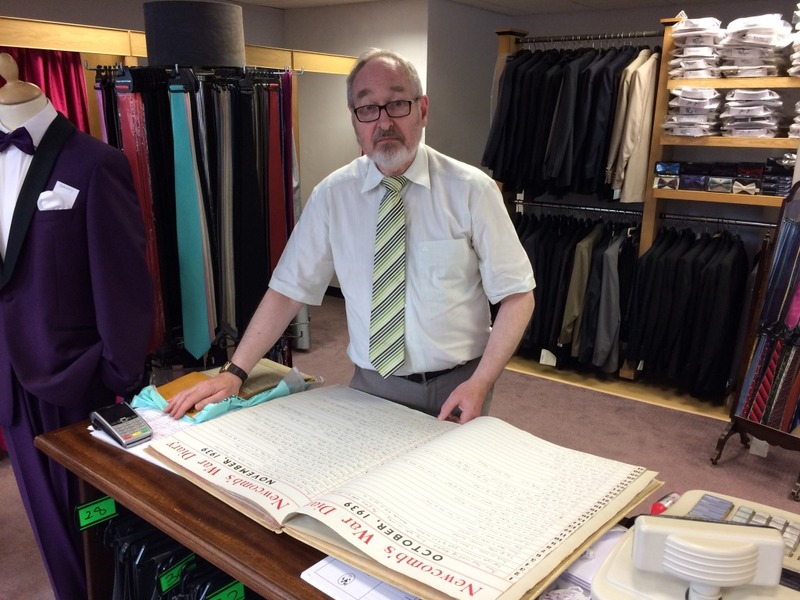 “A few years ago Chatham Historical Society was given permission to make a replica of an original diary written every day during the years of the Second World War by George West, company secretary of a navy tailors, hosiers, hatters and shirt makers in Chatham High Street called Newcomb’s. 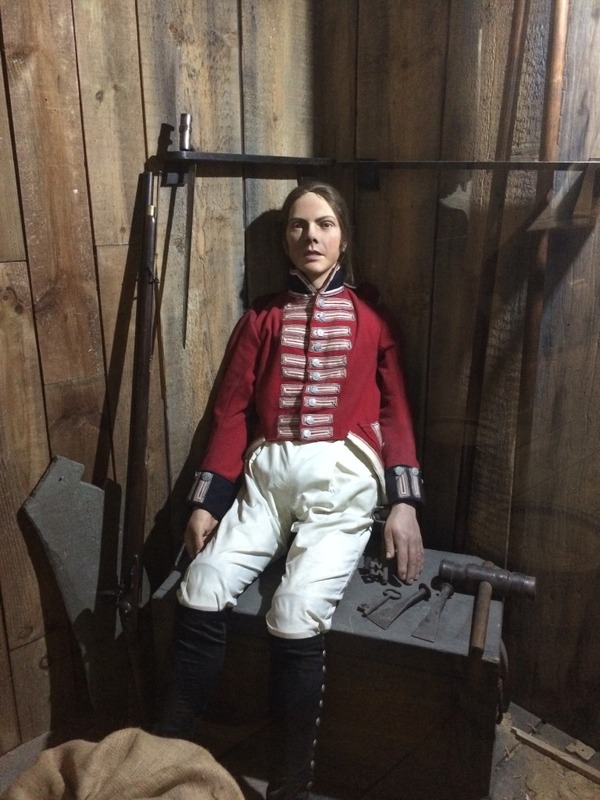 This replica of the “Newcomb War Diary” is dedicated to the memory of Mr West, the Newcomb and Paine families, and all Medway people – both service personnel and civilians – who lived through the events described in it. Newcomb’s opened for business in 1854. After the original shop was demolished when the Sir John Hawkins flyover was built, the business moved along the High Street to the corner of Medway Street. Mr Gerald Newcomb is still trading as Penguins Dress Hire. 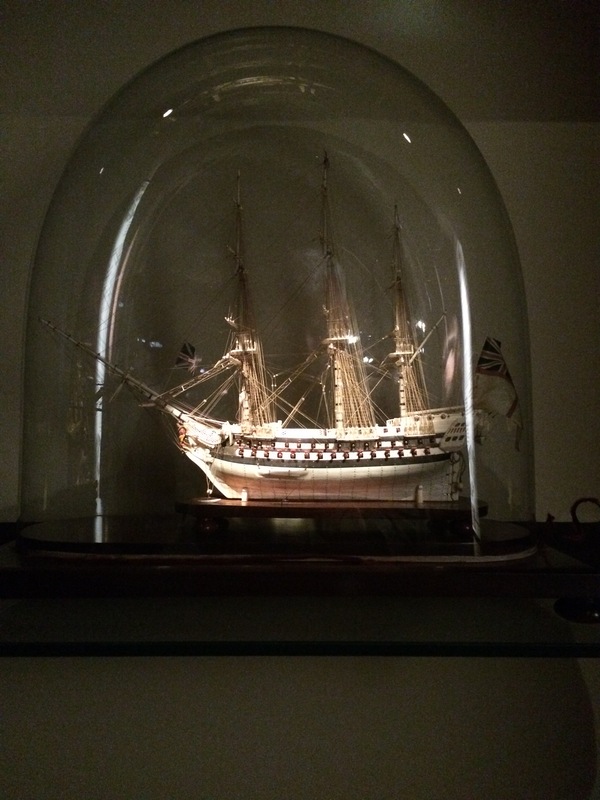 The replica was paid for by Chatham Historical Society and a generous donation by the late Mr and Mrs W. Paine, and has been available to view at public events and libraries in the Medway towns. 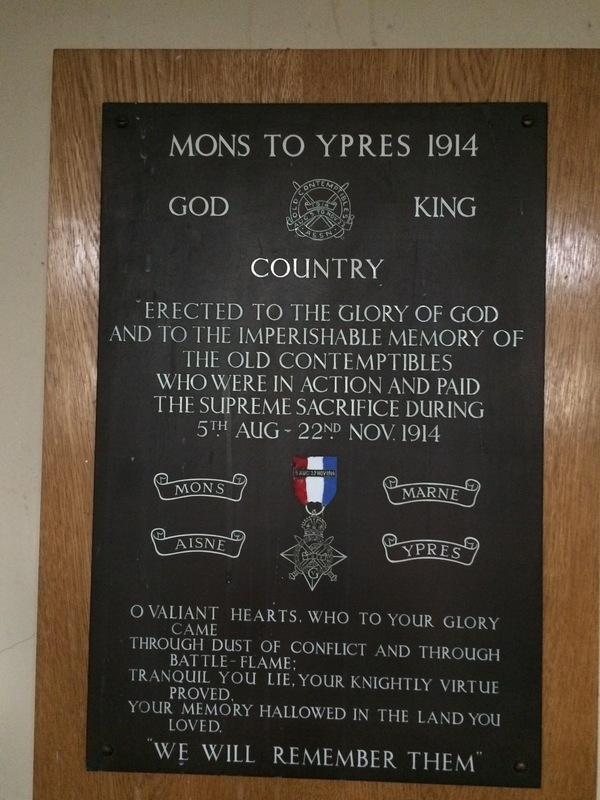 It had been in Strood Library for many months, and their website states that it is on display there, but it might have moved on to another temporary home. Check with Strood Library for the latest situation. 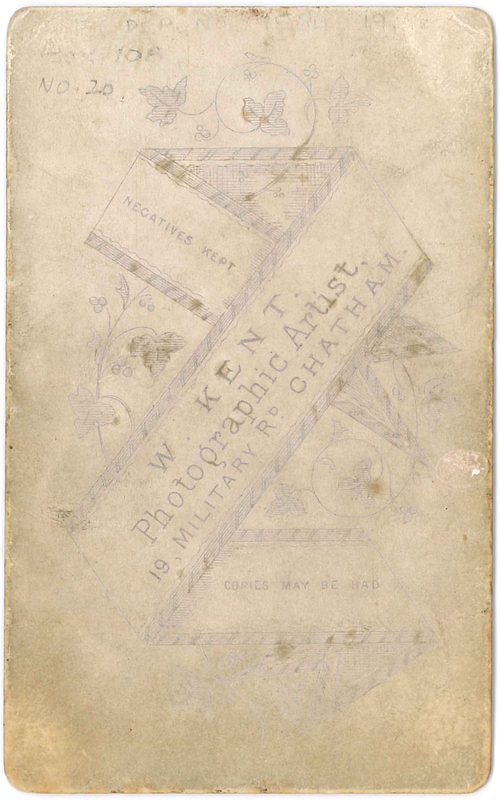 The book referred by the Chatham Historical Society is a smaller copy version of this. 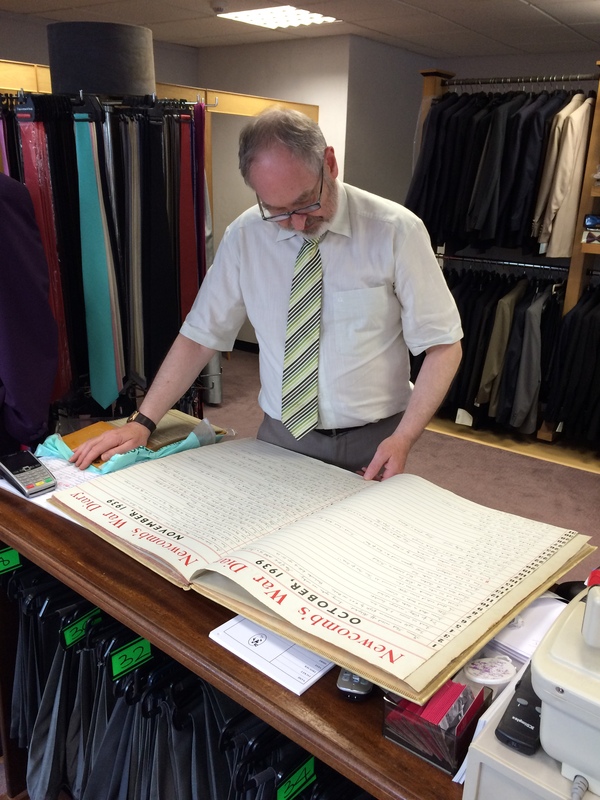 The actual artefact – a fantastic large folio book / ledger was originally manufactured in Chatham for Newcomb’s – is unique and I felt privileged to be shown it. 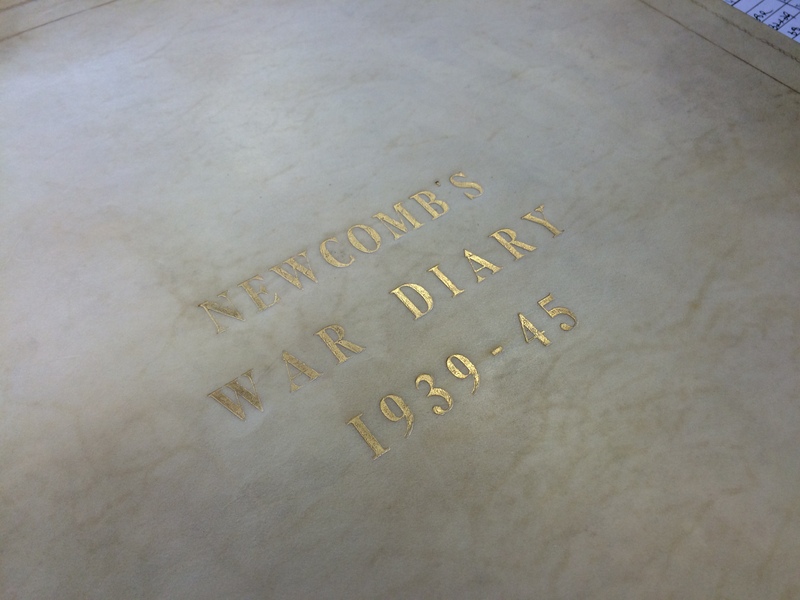 This is the gold embossed front cover of the Newcomb War Diary belonging to Mr Gerald Newcomb of Penguins, Chatham. Image: Christopher Tipping – by permission of Gerald Newcomb. A typical page layout of an untypical diary ! 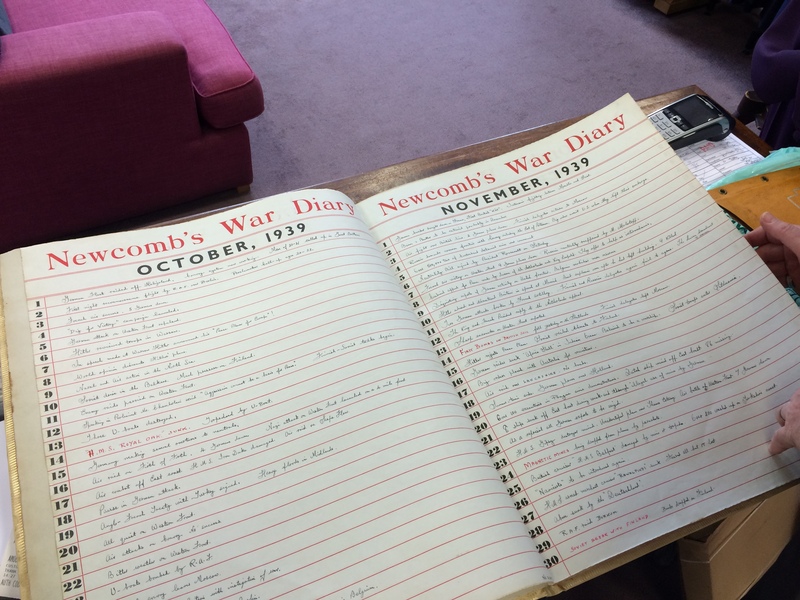 The Newcomb War Diary belonging to Mr Gerald Newcomb of Penguins, Chatham. Image: Christopher Tipping – by permission of Gerald Newcomb. 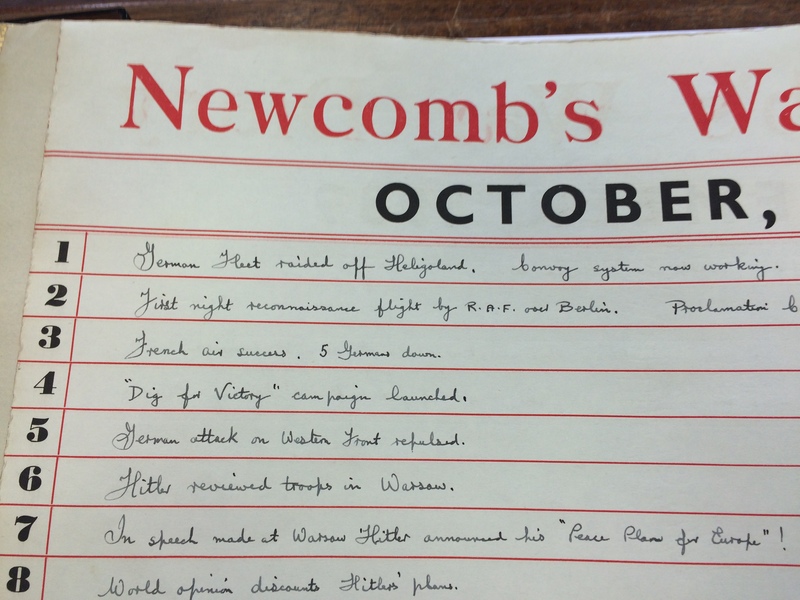 A page from the Newcomb War Diary belonging to Mr Gerald Newcomb of Penguins, Chatham. 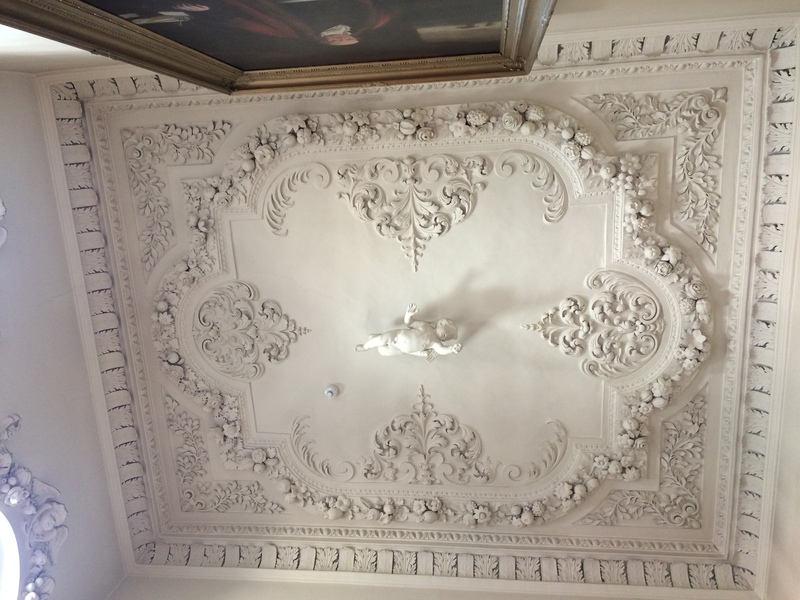 Image: Christopher Tipping – by permission of Gerald Newcomb. Gerald Newcomb of Penguins, 87 – 89 High Street, Chatham with the Newcomb War Diary. 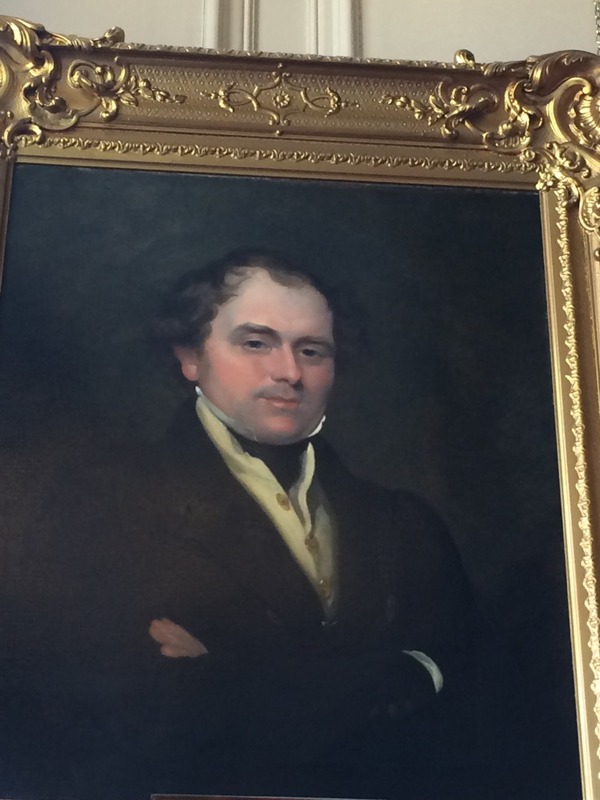 Image: Christopher Tipping by permission of Gerald Newcomb. 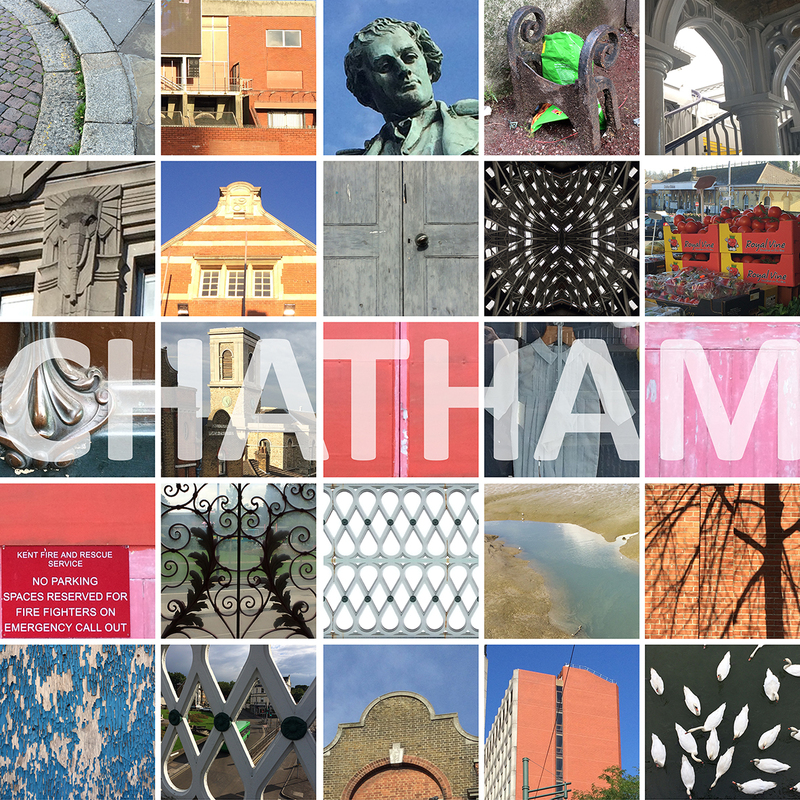 ‘Chatham, Kent, England’, is the first in a series of films being delivered as part of the Temporary Art Programme supporting the Chatham Placemaking Project. They were commissioned by FrancisKnight Art Consultants and myself as project lead artist. 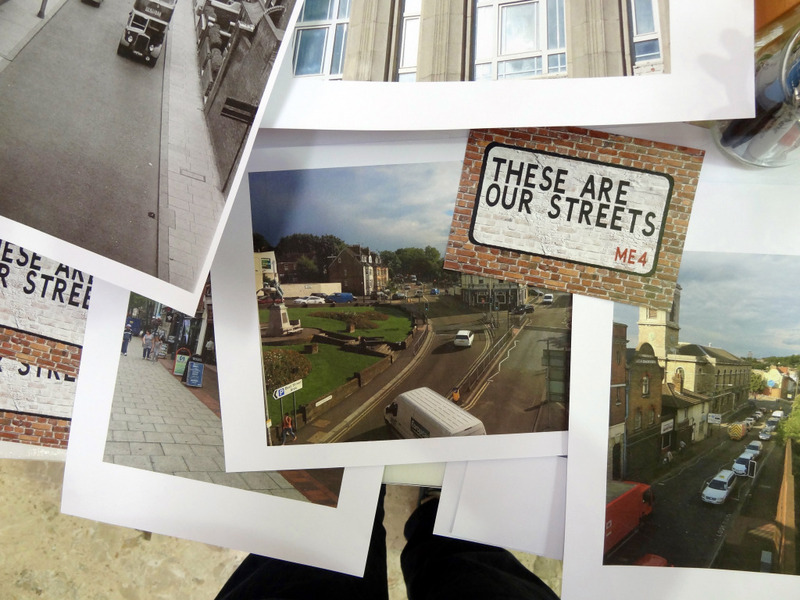 ‘These are our Streets’, a collaboration between Simon and Rob Young, Writer, will be the second film in the series to be released. 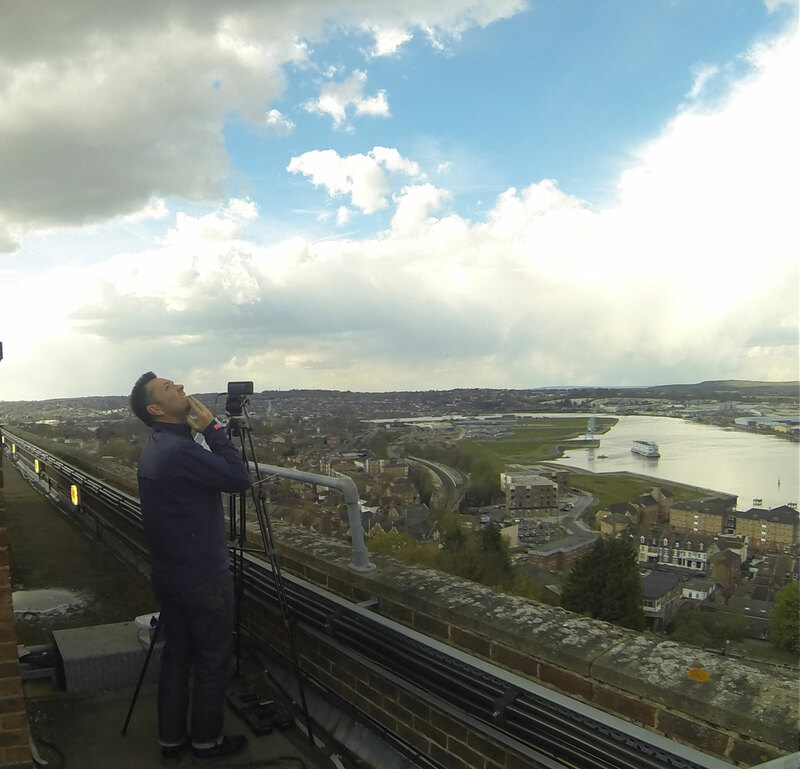 Simon Williams on the roof of UCA Rochester at Fort Pitt. Chatham Placemaking Project. 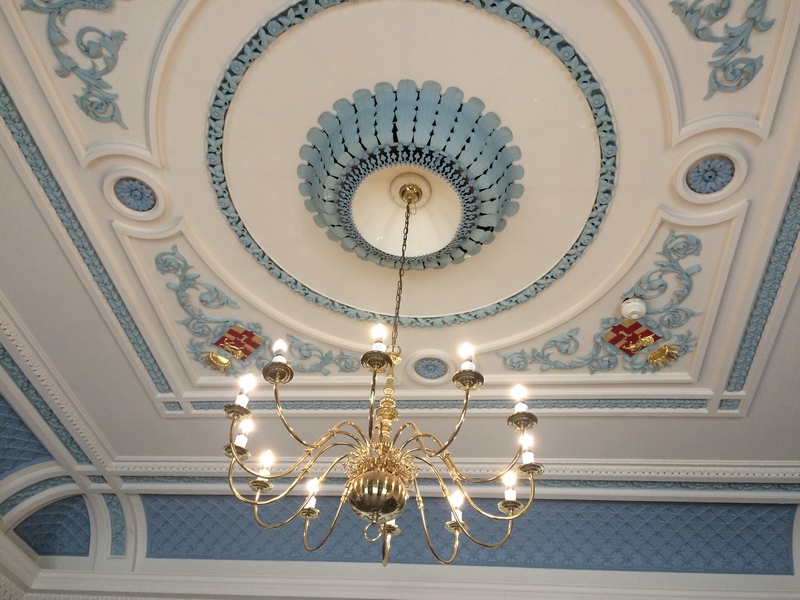 Image: Simon Williams. 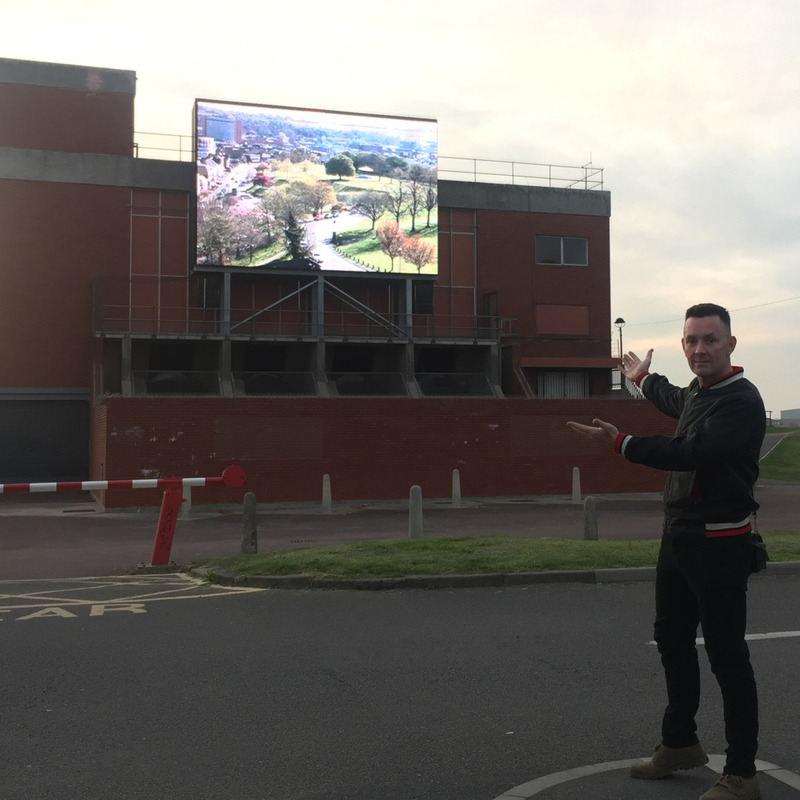 Simon Williams by the Waterfront Big Screen – showing ‘Chatham, Kent, England’. Chatham Placemaking Project. Image: By Permission of Simon Williams. 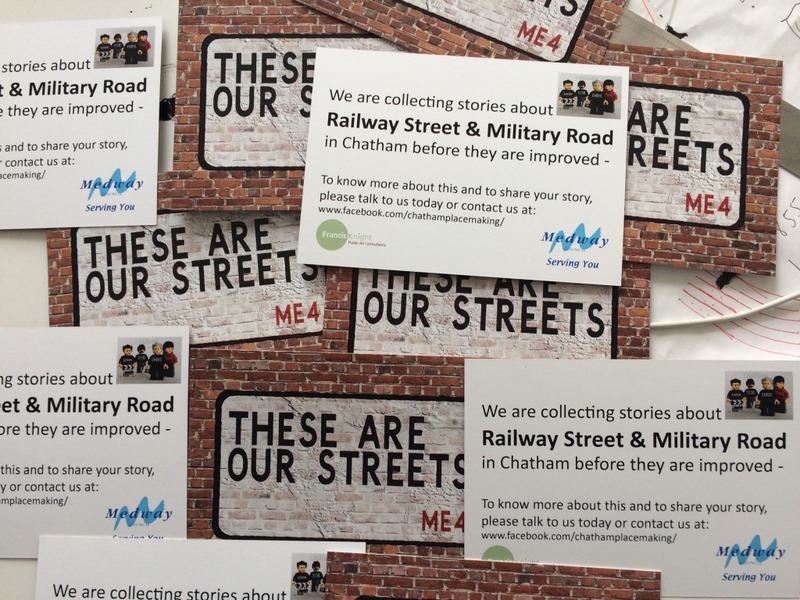 A workshop day – talking, being talked to – gathering stories, memories and an understanding of life in Chatham. 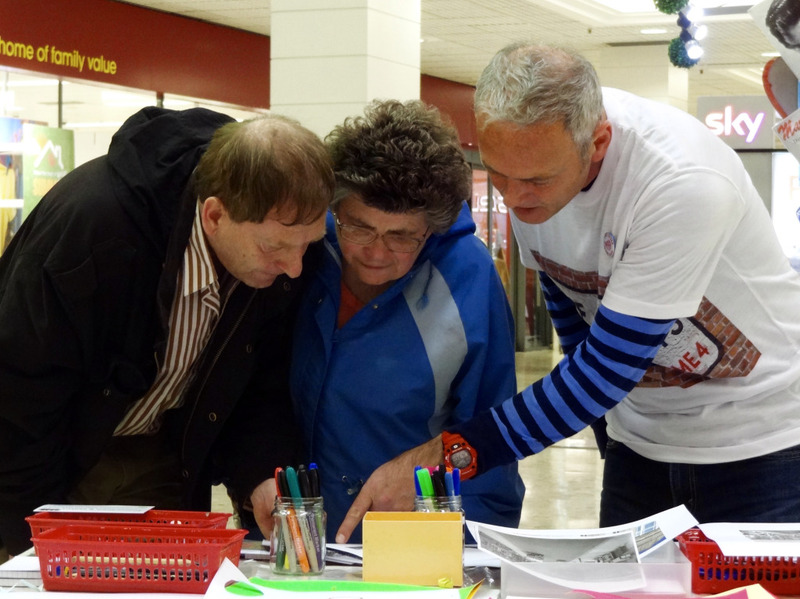 Thanks to all who cam to speak to us – Elsie was one of them ! Her Dad used to say that the Thomas Waghorn Statue on Railway Street pointed to the toilets under the New Road viaduct. As a young girl, her impression of Chatham was that it was brim full of Public Houses. WE HAVE THE POSTCARDS ! 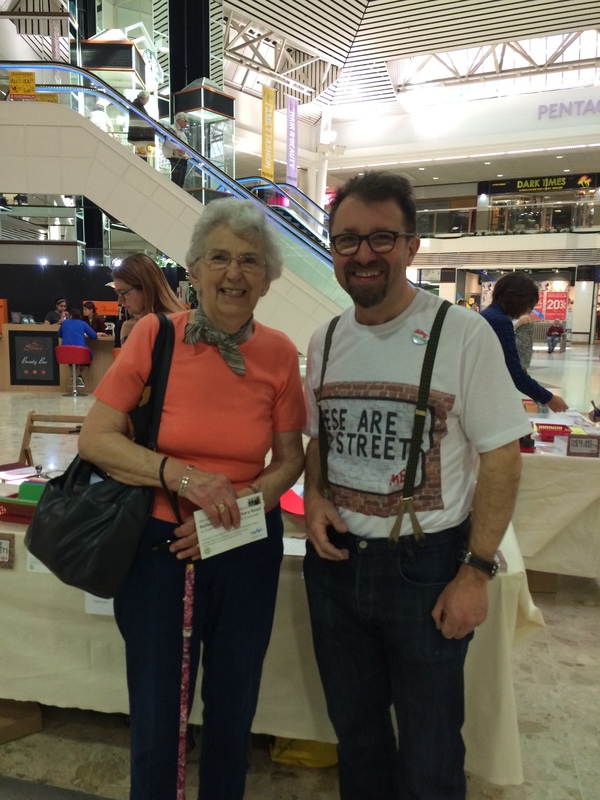 …and we wore the T Shirts! AND WE WORE THE T SHIRTS ! 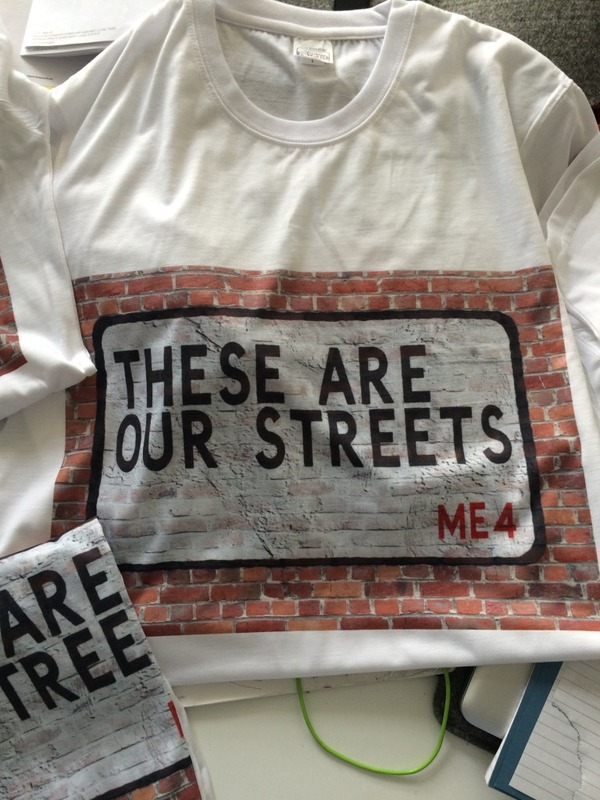 Very grateful to Shelly Goldsmith, Senior Lecturer in Fashion Textiles: Print at UCA Rochester for producing the shirts for us at very short notice ! 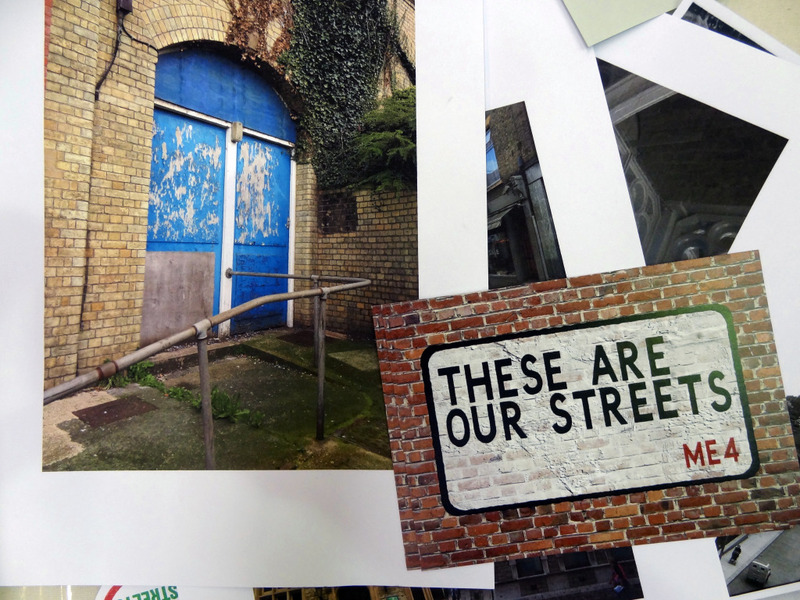 Chatham Placemaking Project – Still image from an episodic film series by Simon Williams & Rob Young with additional graphics by Xtina Lamb. 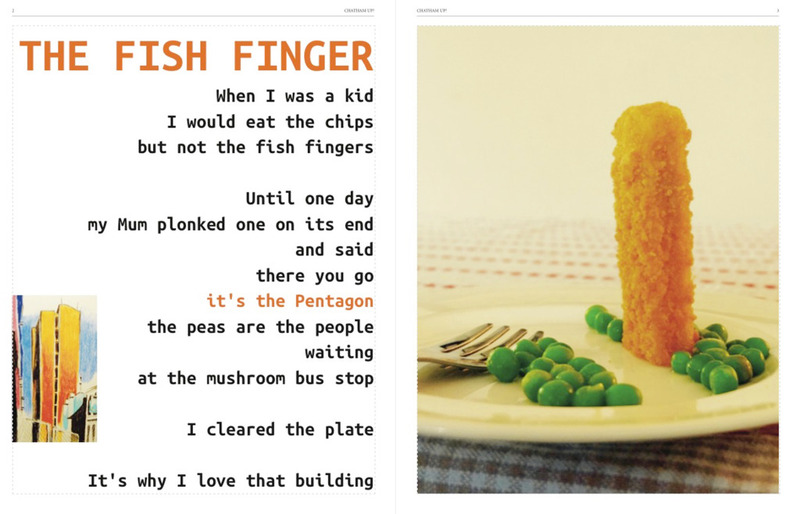 The Fish Finger – by Rob Young. Chatham Placemaking Project. Draft page for print proposal. 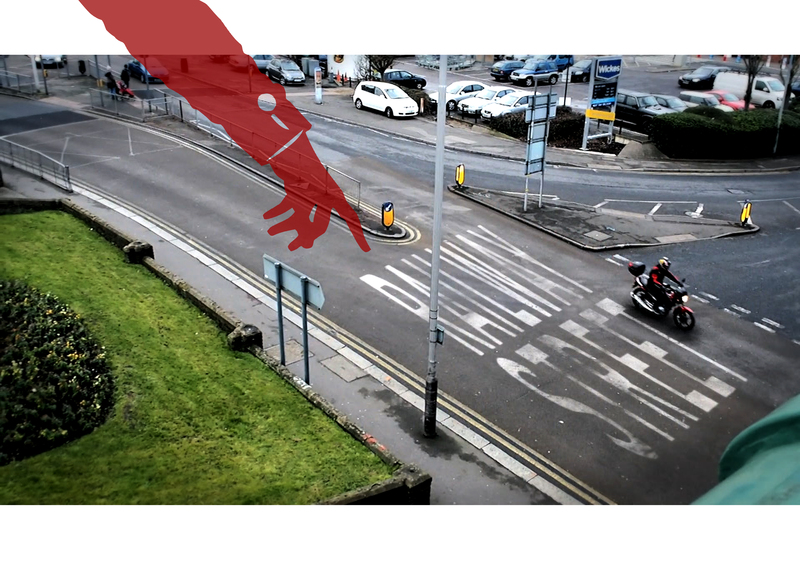 Text by Rob Young – Still Images from documentary film by Simon Williams. Chatham Placemaking Project. 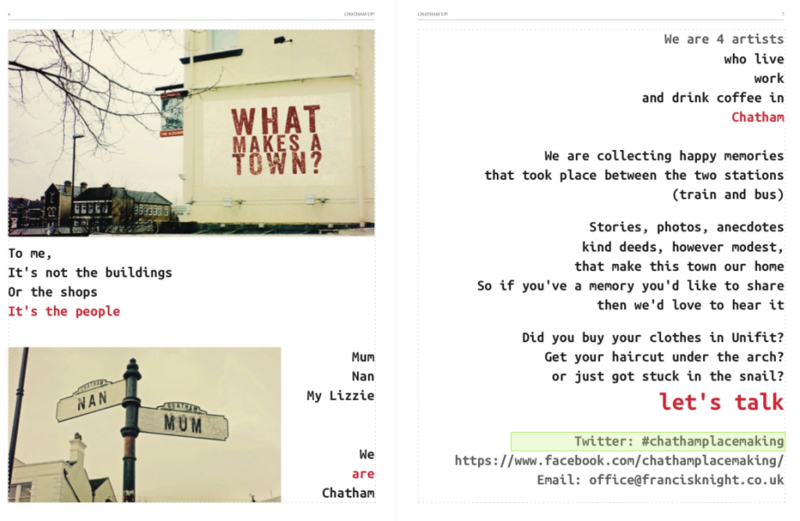 ‘Is This You’, Draft Page layout – Chatham Placemaking Project. 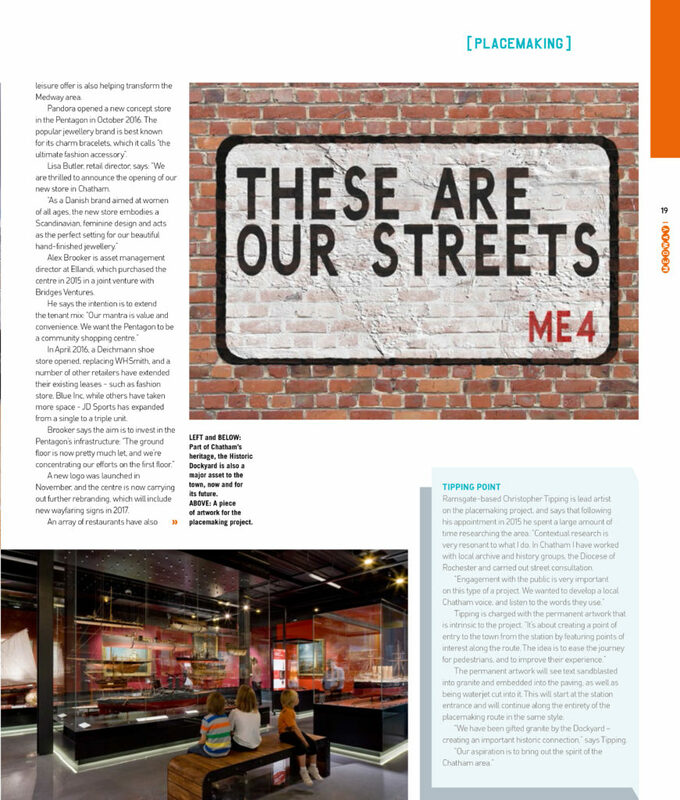 Artwork: Christopher Tipping – Text by Rob Young – Photograph by kind permission of Medway Archives and Local Studies Centre. 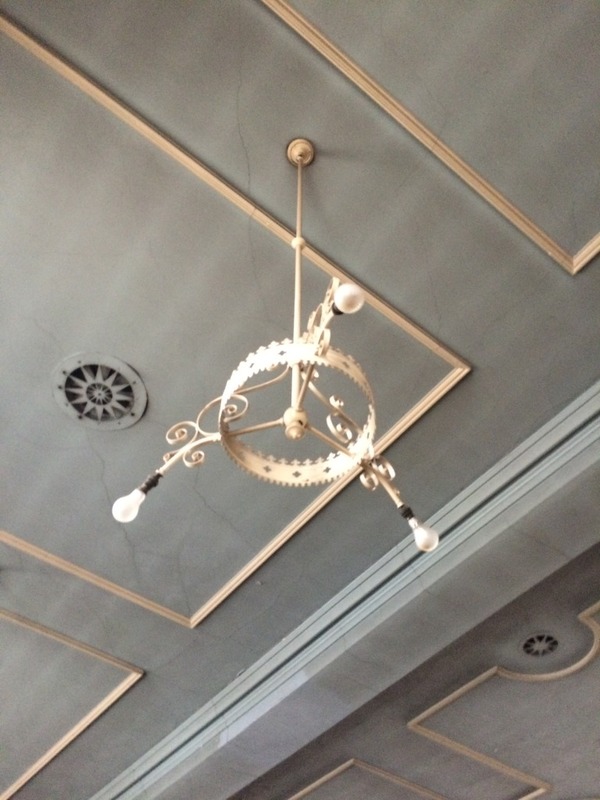 On Tuesday 3rd May, Rob Young & I had a meeting with Rachel Kerr, Project Coordinator (100 Objects That Made Kent) and the Education Officer, Jeremy Clarke at The Guildhall Museum, High Street, Rochester. 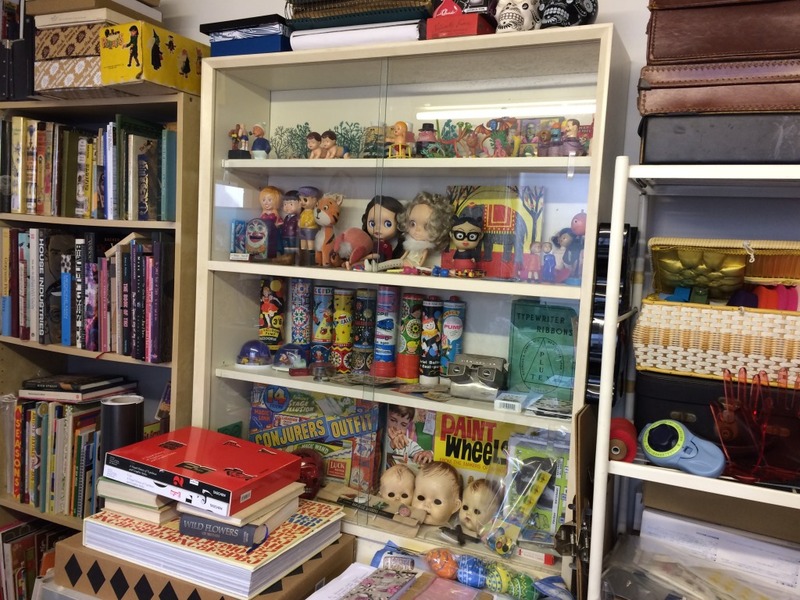 We were looking to explore opportunities for us all to collaborate in some manner during the project, taking advantage of the Museum Collections cultural importance to Medway and its outreach work with the community – particularly in education and schools. Rob is very keen to build this relationship into his commission and has already submitted a wonderful proposal for an engagement with St Michaels Roman Catholic Primary School, who are already working with the Museum on an arts award educational project, focussed on the Statue of Thomas Waghorn on Railway Street and a portrait of whom hangs in the Museum. The school is the most local to our project route. 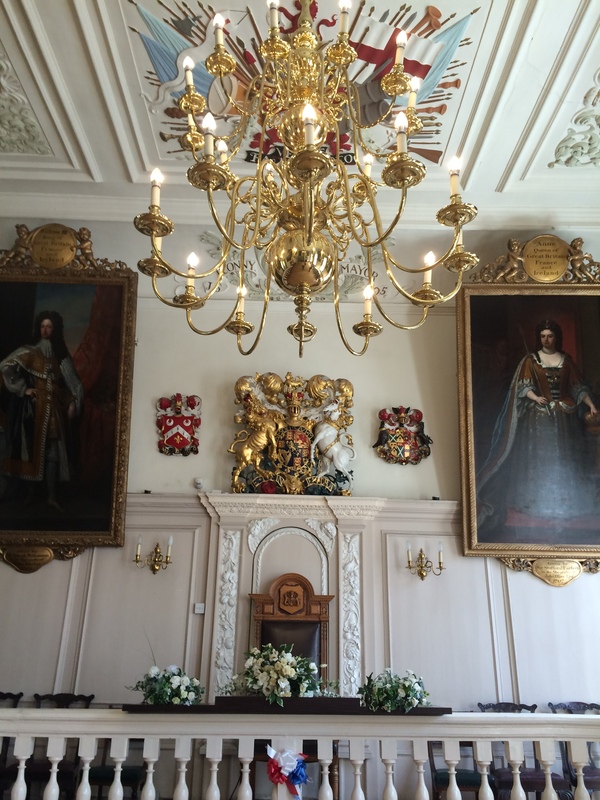 Rob is also keen to meet with The Friends of the Guildhall Museum to hear their thoughts about Chatham. Simon Lace, Medway’s Heritage Services Manager is also helping our cause by contributing a call out for stories by Friends of the Guildhall in their ‘about to be launched’ newsletter. Thanks to all involved for your continuing help. Jeremy Clarke, the Museum’s Education Officer – found this image for us of a young boy taken at the Photographic Studio of W. Kent, Photographic Artist at No 19 Military Road, Chatham – a great find for us right on our project route. I’m sure Rob will make some resonant response to this. 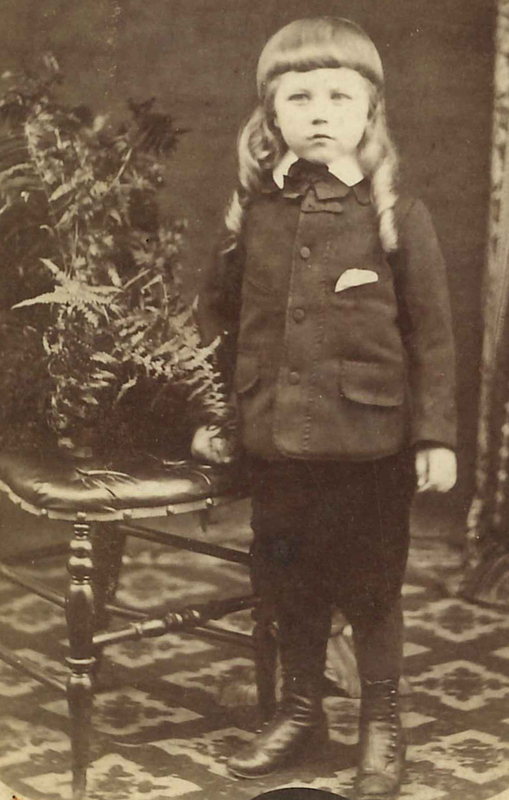 Photographic portrait of a young boy taken by W Kent, Photographic Artist at No 19 Military Road, Chatham – in the collection of Guildhall Museum, Rochester. 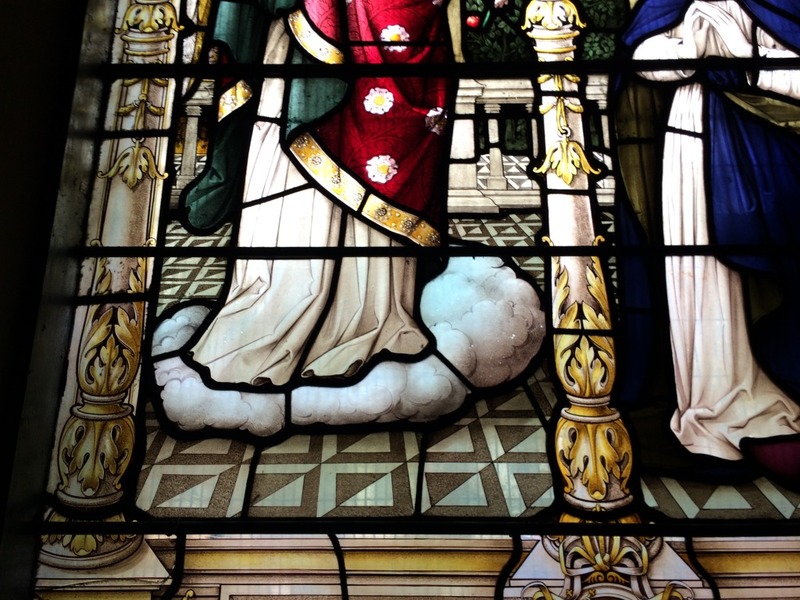 Image reproduced courtesy of the Guildhall Museum, Rochester. The Chatham Placemaking Project appointed 3 artists for the temporary programme – it feels anything but temporary to me as all the artists are contributing massively to the project and their individual and collective output in terms of film, writing and graphics has been creative, original and has added to my perception and understanding of this project – of Chatham – and how we relate to this community as well as our client Medway Council. It is an exciting time for me – & hopefully for Rob, Xtina and Simon too. 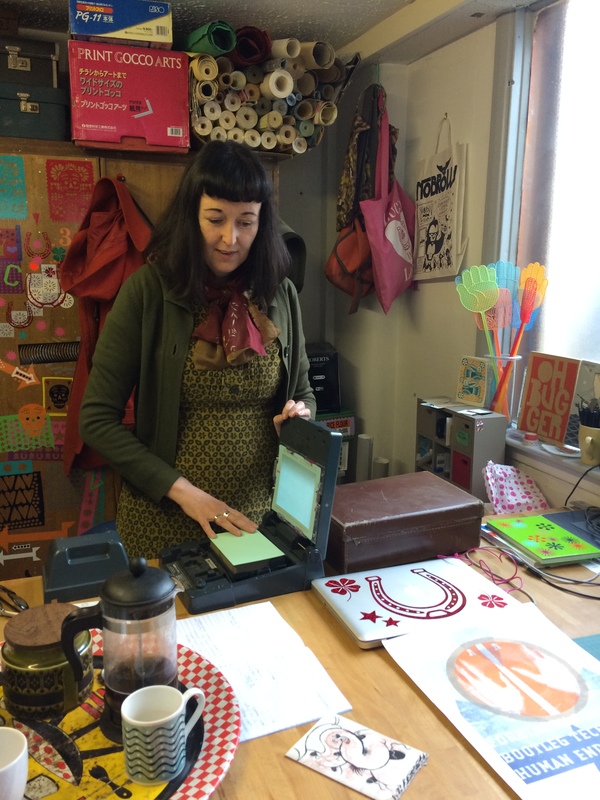 Xtina Lamb was commissioned to run a series of print based workshops in ad hoc places – such as the Pentagon Shopping Centre – and also from her workshop and business premises – Medway Fine Printmakers – at Intra on Chatham High Street. 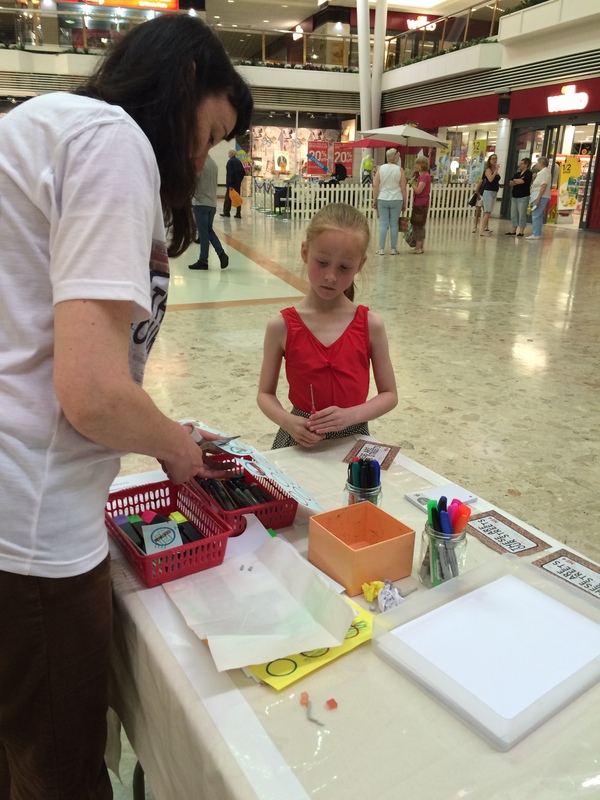 She is also a graphic artist in her own right contributing to the visual language and interpretation of the project.